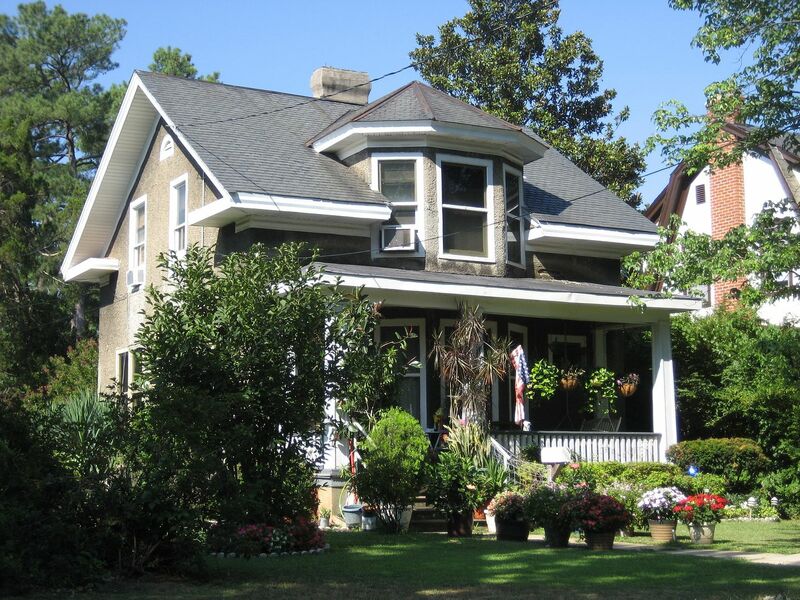 September 25th + Richmond + Sears Homes + Rose = A LOT OF FUN! 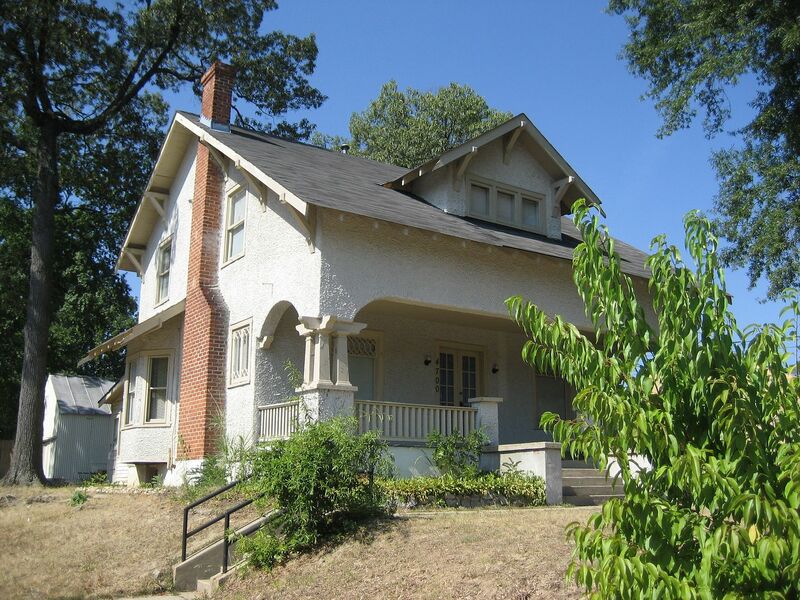 On September 25, 2014, I gave a talk on the Sears Homes of Richmond, Virginia. 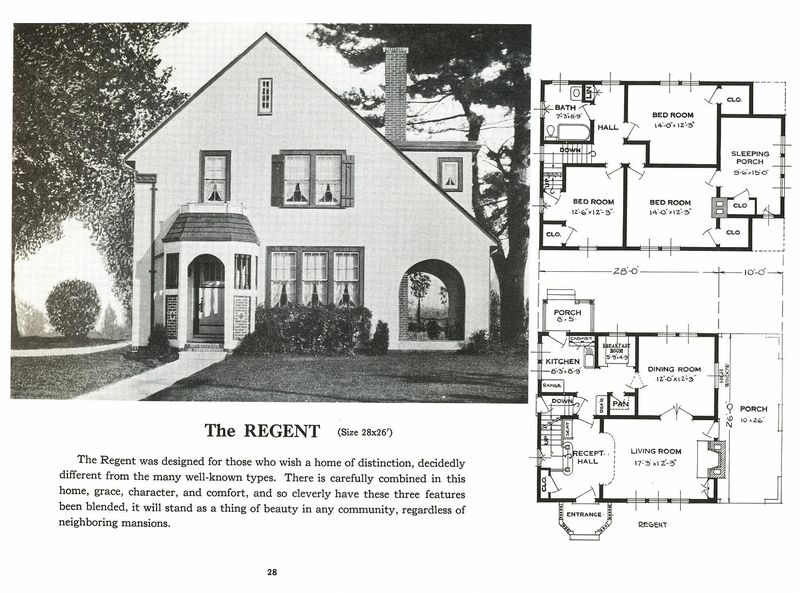 This talk (and the images below) were the result of more than 50 hours of work, architectural surveys, consulting with fellow historians and just good old-fashioned research. The images below (and the research behind them!) are the property of Rosemary Thornton, and can not be used without written permission. 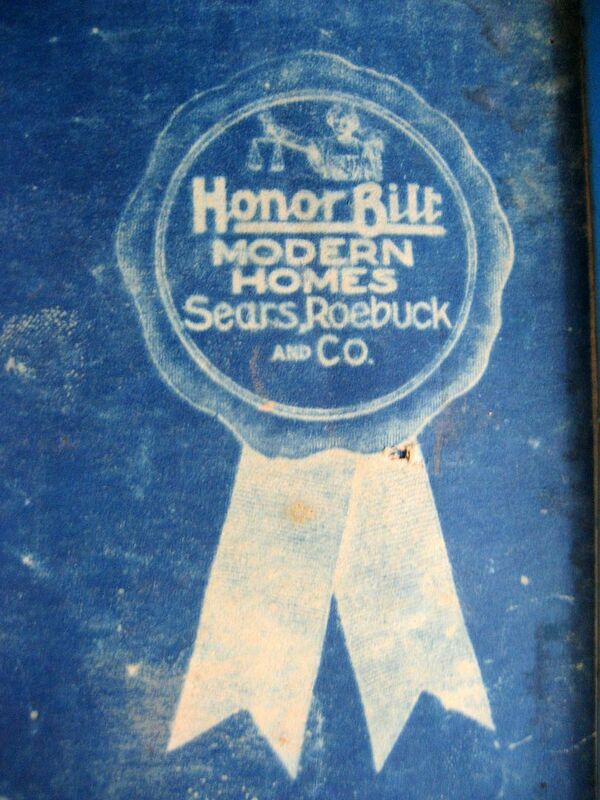 If you’re new to this site, you may be wondering, what is a Sears Home? 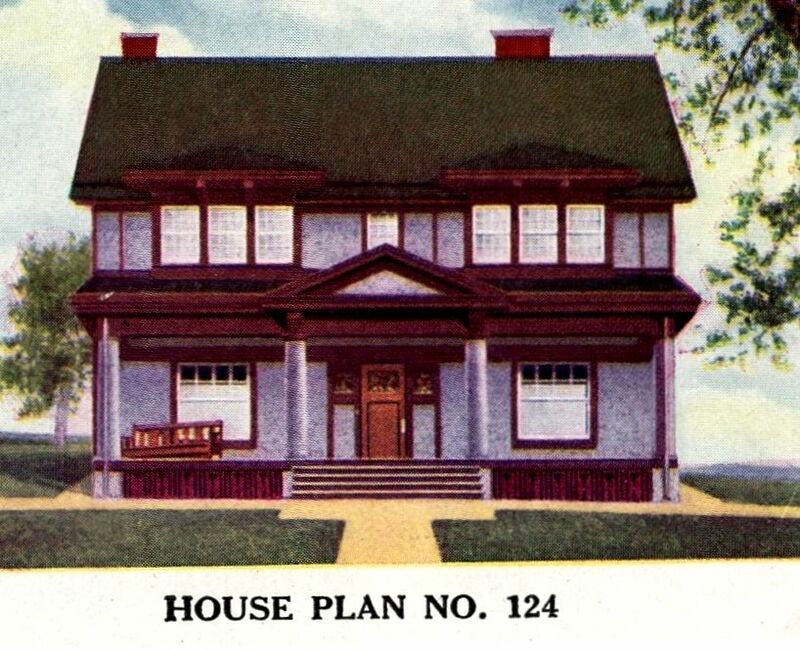 Sears Homes were 12,000-piece kit houses, and each kit came with a a 75-page instruction book. 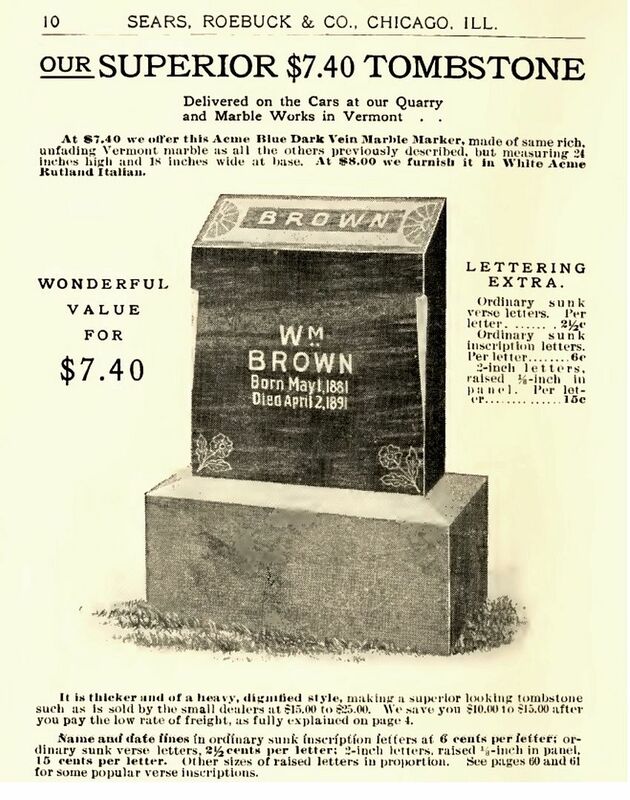 Sears promised that “a man of average abilities” could have it assembled in 90 days. 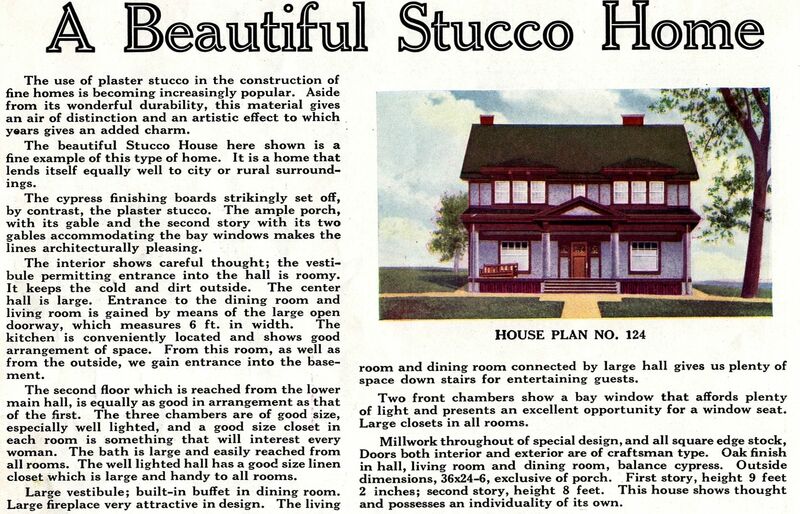 The instruction book offered this somber warning: “Do not take anyone’s advice on how this house should be assembled.” The framing members were marked with a letter and a three-digit-number to facilitate construction. 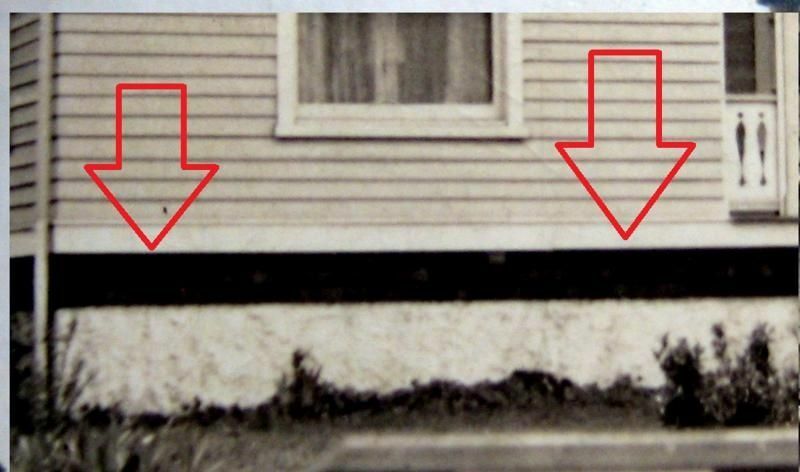 Today, these marks can help authenticate a house as a kit home. And I’ve found a whole caboodle of kit homes in Richmond! If you’ve always wanted to learn more about this fascinating topic, here’s your best chance! I give fewer than five lectures a year now, so this might be the last! 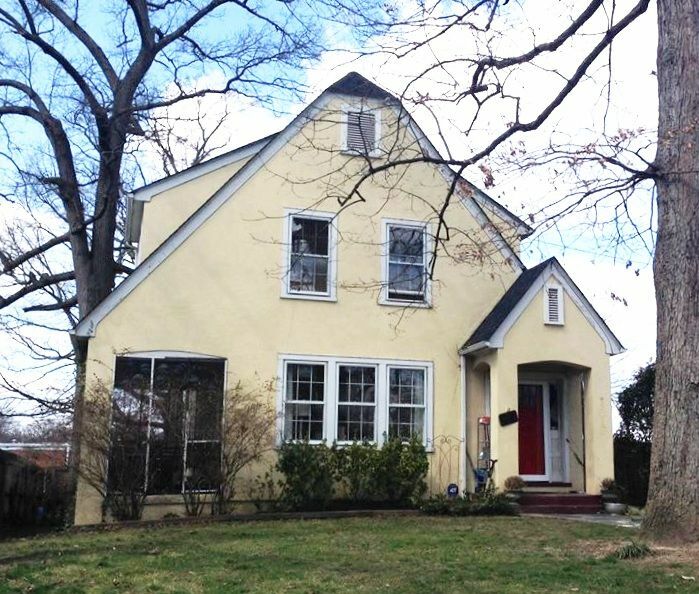 Below are just a few of the many unique (and even rare) kit homes I’ve found in Richmond. Please share this link with your friends and/or on your Facebook page. 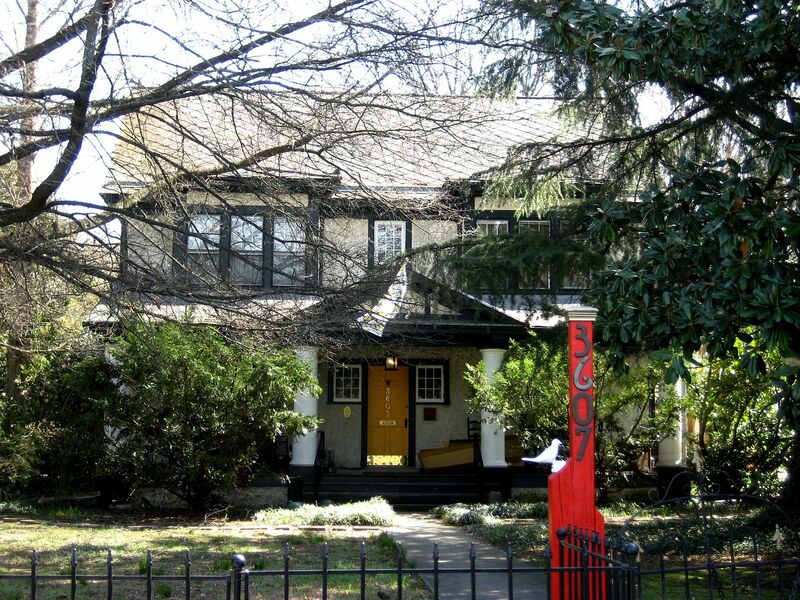 Here’s a link to a very rare kit home I found in Richmond, thanks to Molly!! To learn more about the talk and obtain tickets, click here. 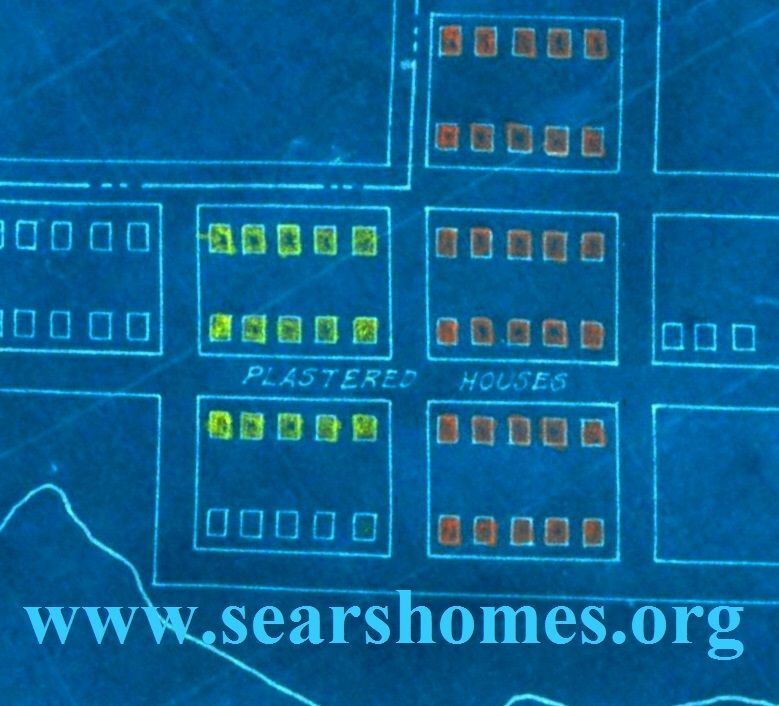 One of the many ways to identify Sears Homes begins with slogging down to the basement (or crawlspace) and looking for marked lumber! 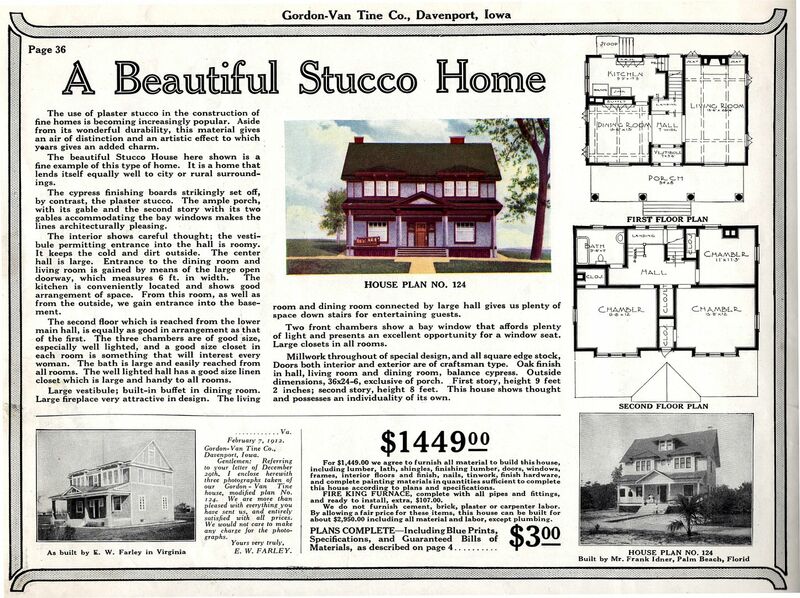 This mark, together with a 75-page instruction book, helped homeowners figure out how to put together those 12,000 pieces of house. 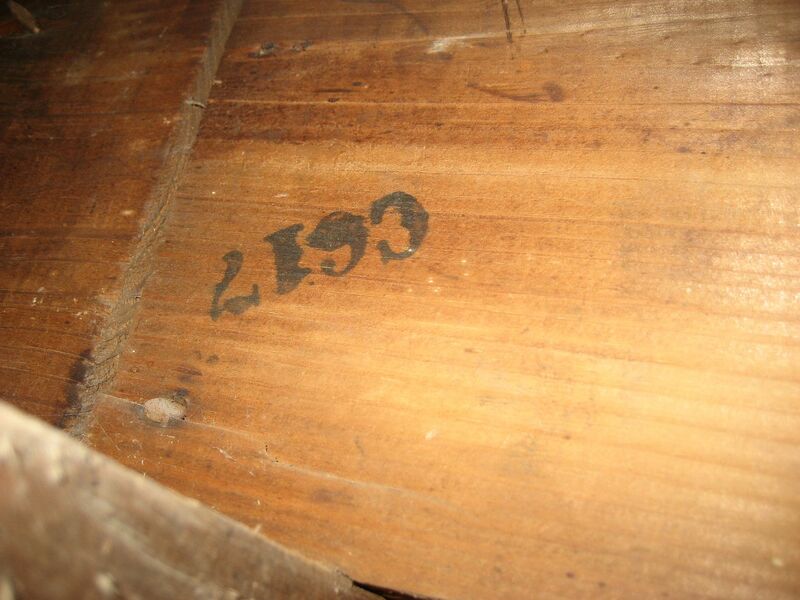 Sometimes, the markings found on lumber aren't what you might expect! 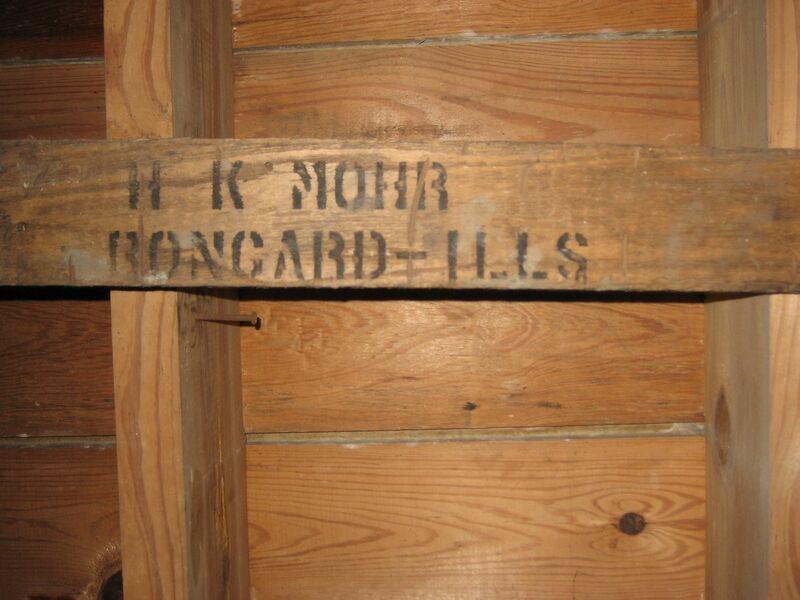 This was found in the basement of an Illinois Sears home, and was a remnant from the original wooden shipping crate. 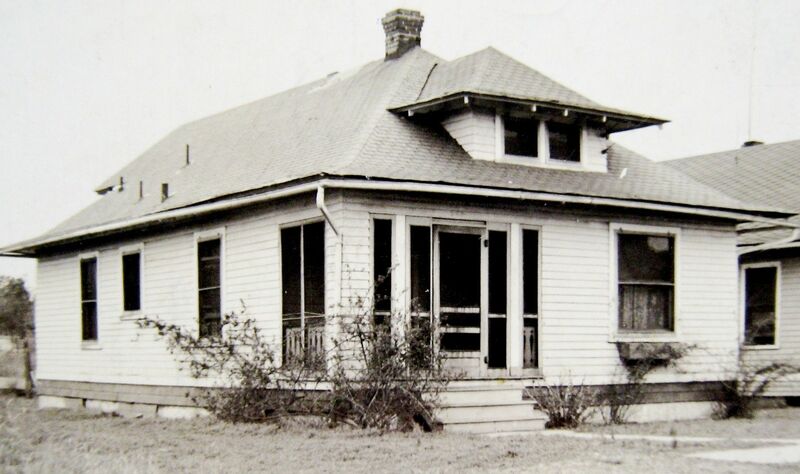 "Bongard, ILLS" was the name of the train depot where the house arrived. I've often found shipping crate lumber repurposed ror shelving or coal bins. The blueprints were specifically designed for the neophyte, and included great detail, such as how far apart to space nails! 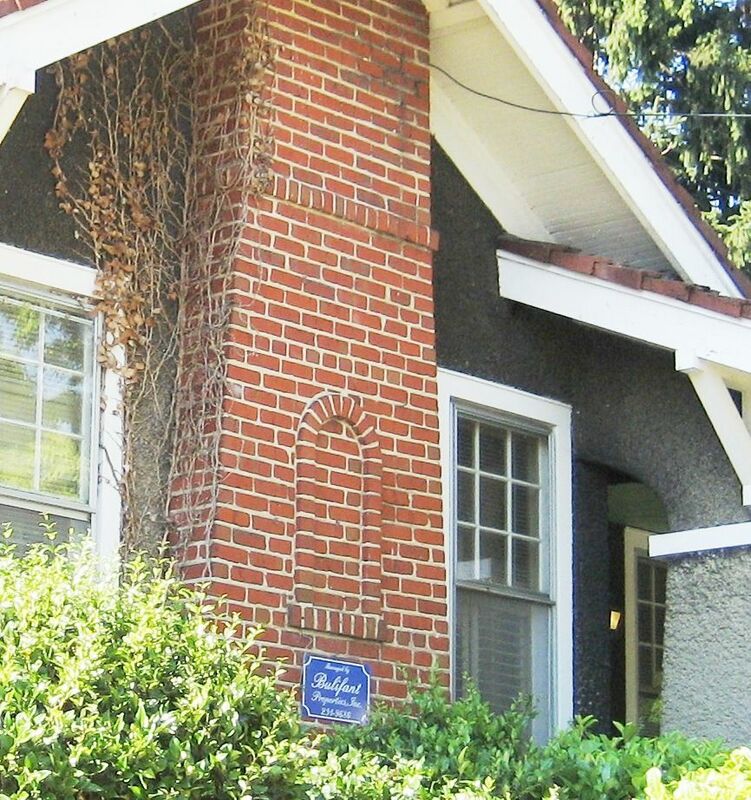 The typical 1920s Sears House came with 750 pounds of nails! 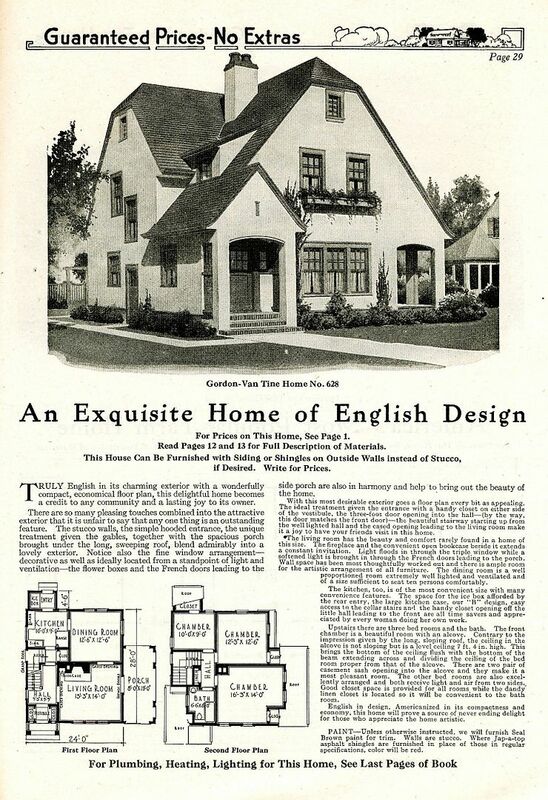 One of my favorite finds in Richmond is the Sears Strathmore (1936 catalog). Oh my, what's not to love! 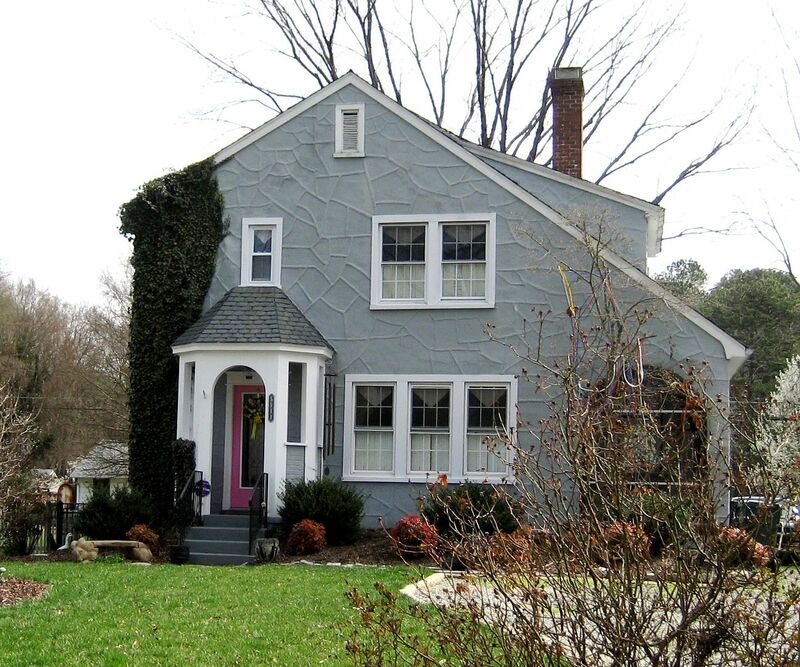 Beautiful house with a Buckingham slate roof and original windows. Be still my heart! 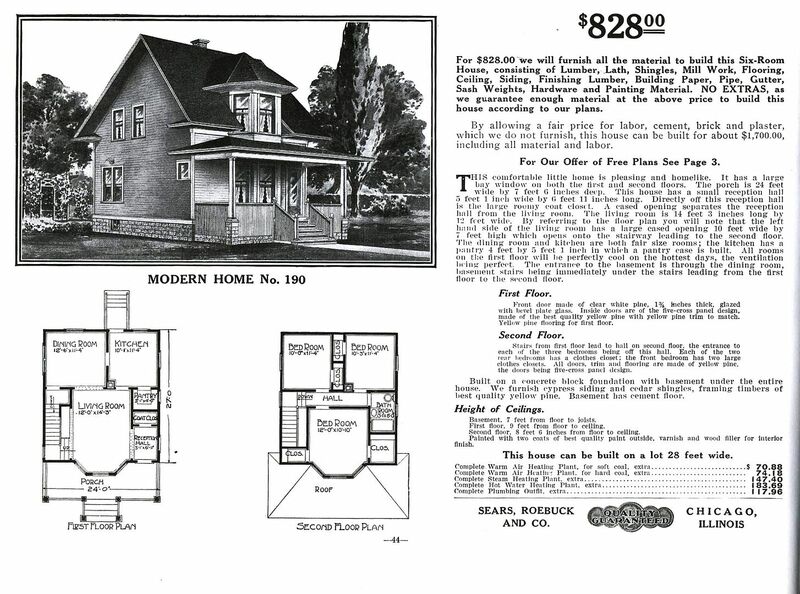 This was Sears Modern Home #190, offered in the early 1910 (1912 catalog). 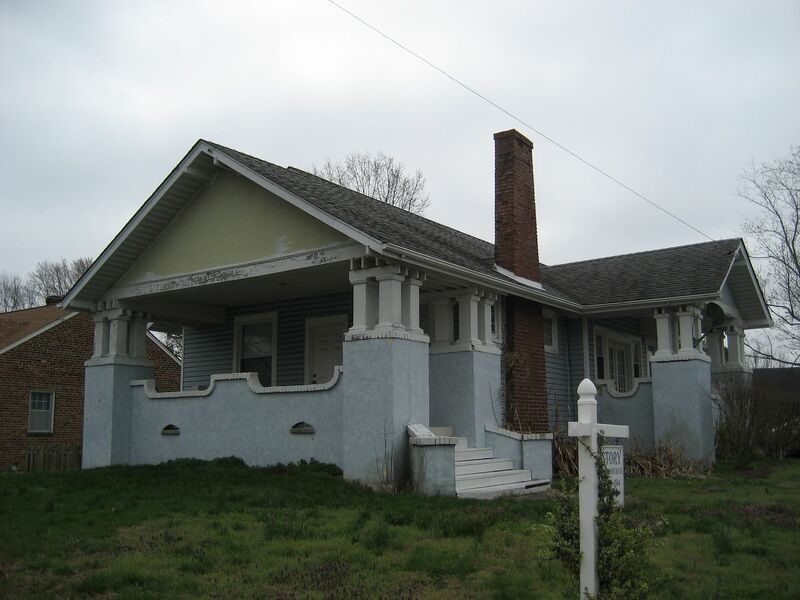 The Sears Avalon is one of my favorite houses, and Richmond has several. 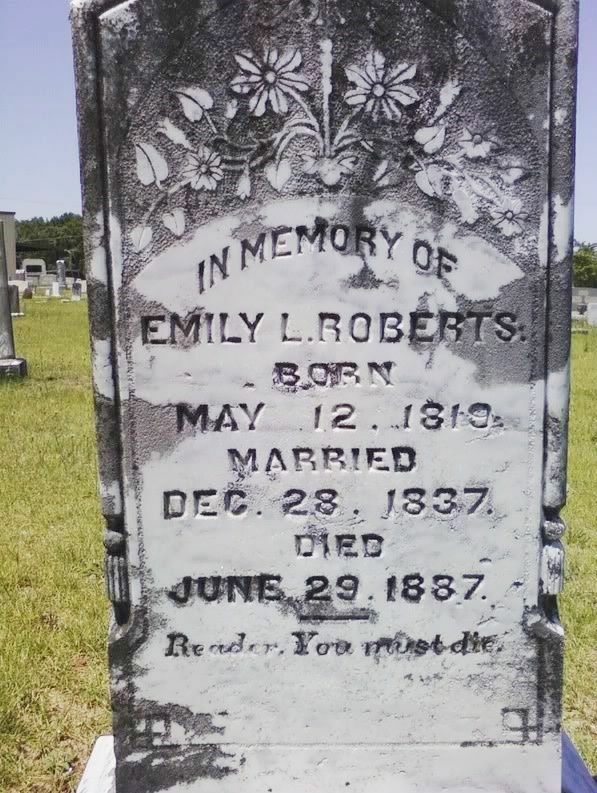 I would love to know the back story on this. The Avalon wasn't that big a hit for Sears, and yet I've found five in Richmond. I've seen ten of these in the United States, and five of those ten are in Richmond. And it's just a spot-on match to the catalog picture. 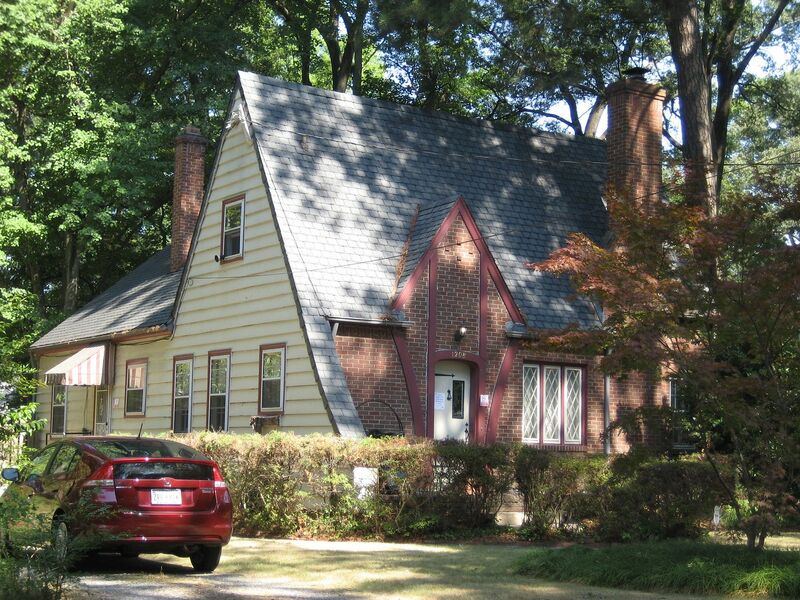 Notice the small window in the front gable? And the three vents on the side gable? Picture is copyright 2014 Melissa Burgess and may not be used or reproduded without written permission. So there. Another Avalon in Richmond, also in beautiful shape. 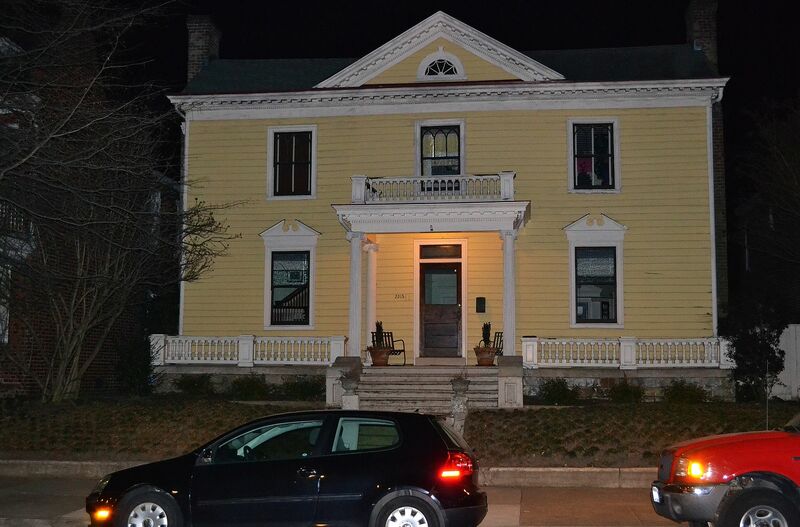 This one has the original railings. 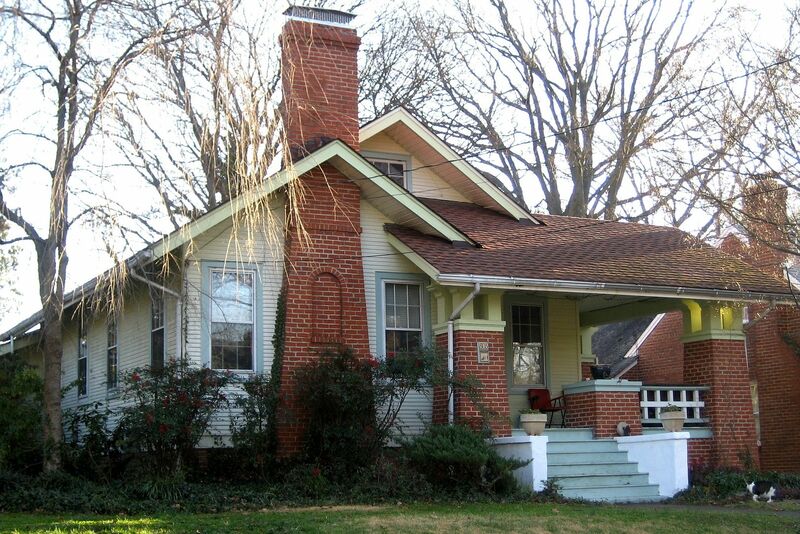 All of these Avalons have that distinctive arched pattern and faux belt course on the brick chimney. My favorite Avalon. Oh, what a beauty! Close-up of that arched inset and belt on the Avalon in Richmond. 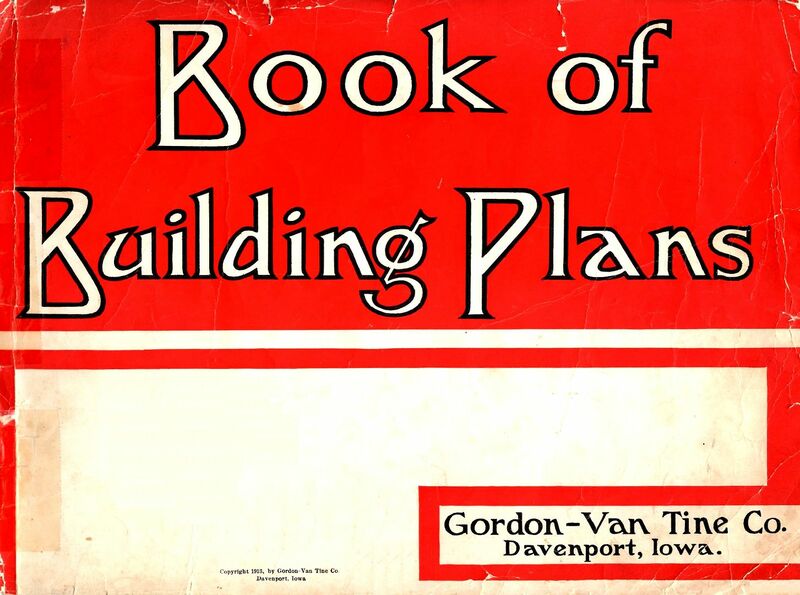 In addition to Sears, there were other companies selling kit homes on a national basis, and Gordon Van Tine was one of the larger ones. 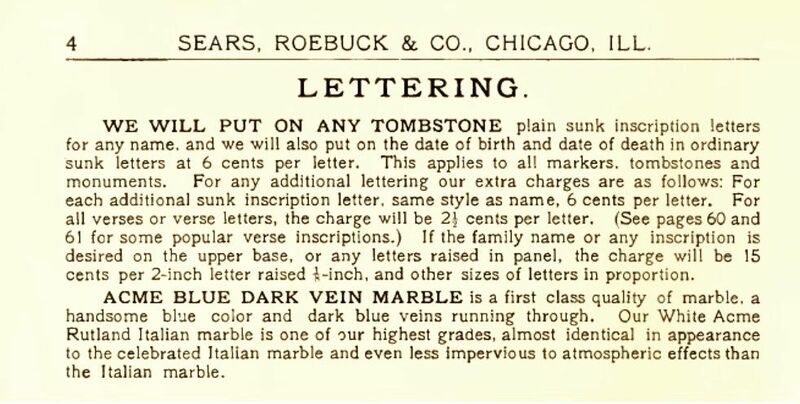 Total sales were probably a bit more than 50,000, compared to Sears total sales of 70,000. The Sussex was one of the Gordon Van Tine models that I found in Richmond. Picture perfect, this Gordon Van Tine "Sussex" still retains many of its original features. 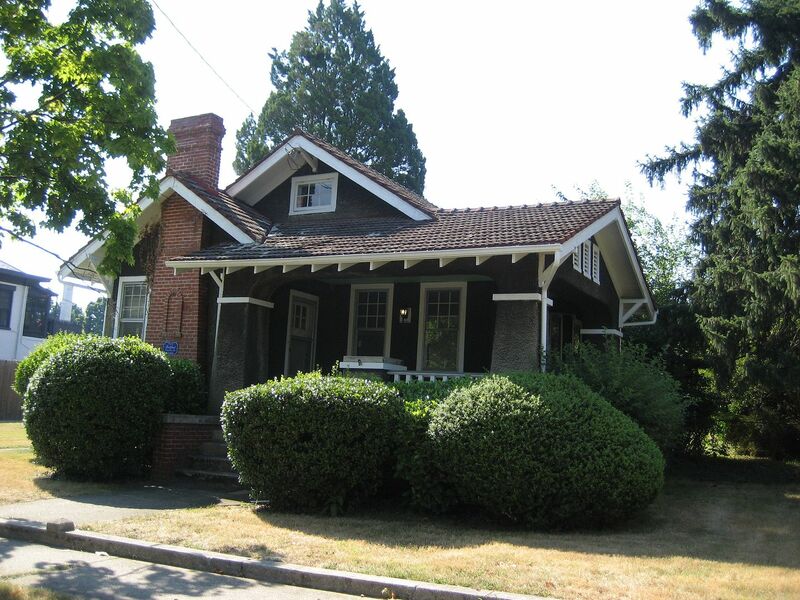 This classic "Craftsman Style" bungalow was a popular model for Gordon Van Tine. And here's a fine-looking example of Model #507. 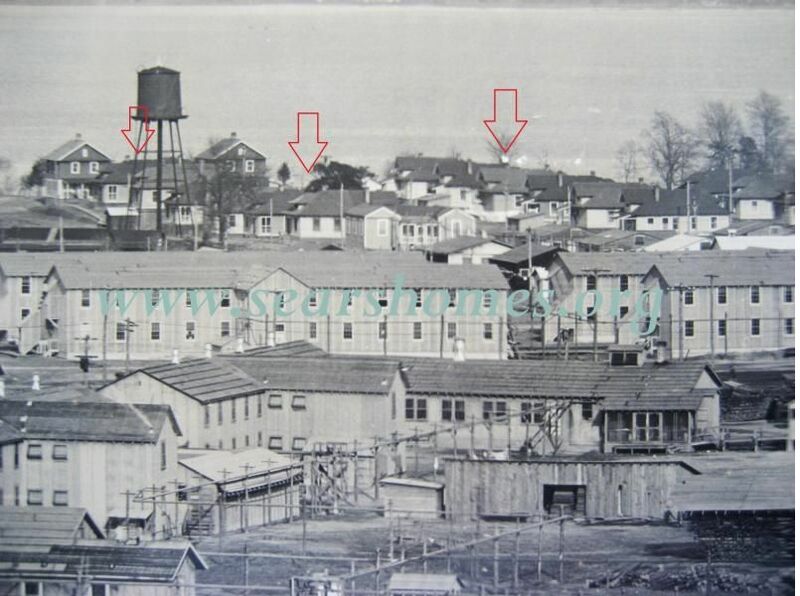 The photo was taken from a side that does not replicate the angle in the catalog , but it's clearly a GVT #507. Photo is copyright 2012 Taber Andrew Bain and may not be used or reproduced without written permission. One of my favorite finds in Richmond was the Gordon Van Tine #124. Next time I'm in town, I need to bring my chain saw so I can get a better photo. 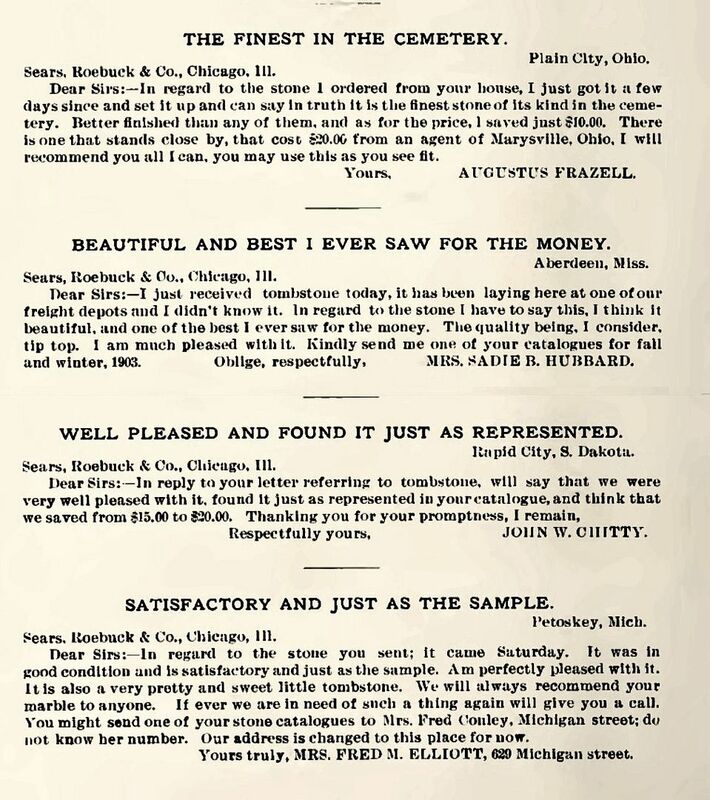 Nonetheless, I'm confident it's the real deal, as I found the original testimonial in a 1913 GVT catalog. Aladdin was another major contender in the kit home business. In fact, they were larger than Sears. 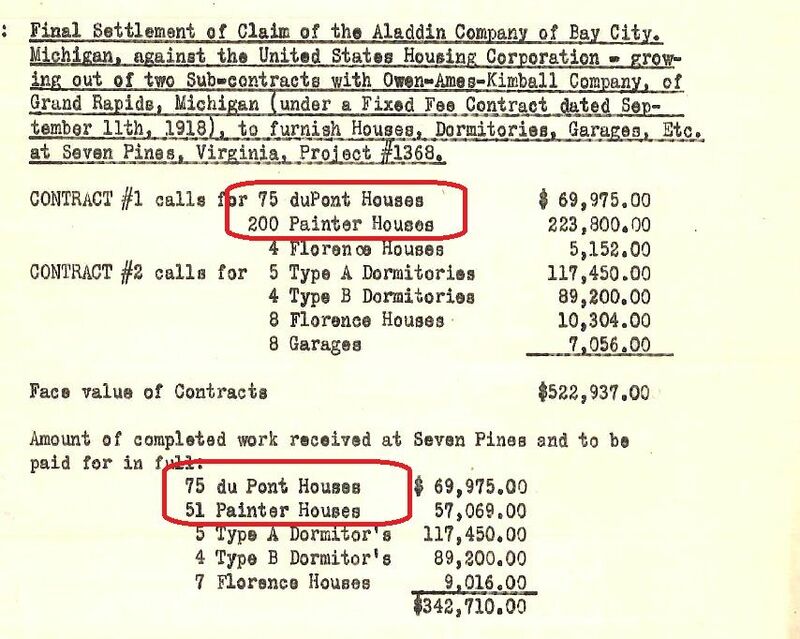 Aladdin had a mill in WIlmington, NC which explains why - typically - in Virginia, I've found more Aladdin homes than Sears Homes. 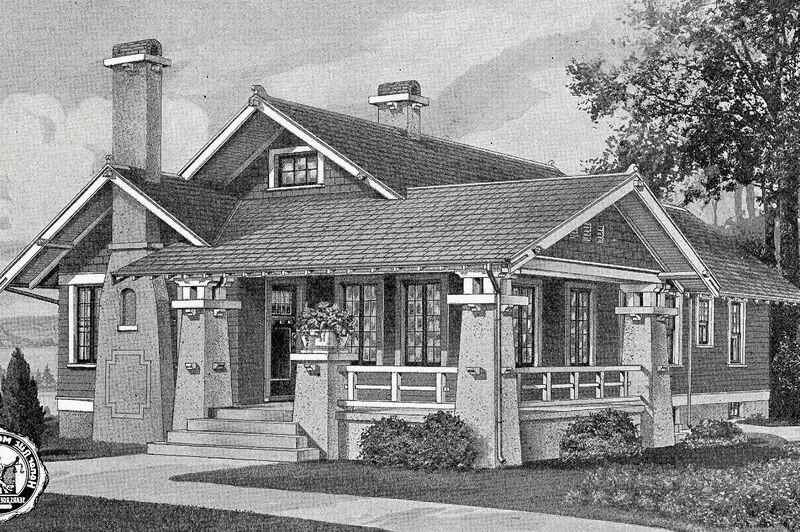 Shown above is The Ardmore from the 1922 Aladdin catalog. I've never seen an Ardmore. I suspect it's a fairly rare kit home. 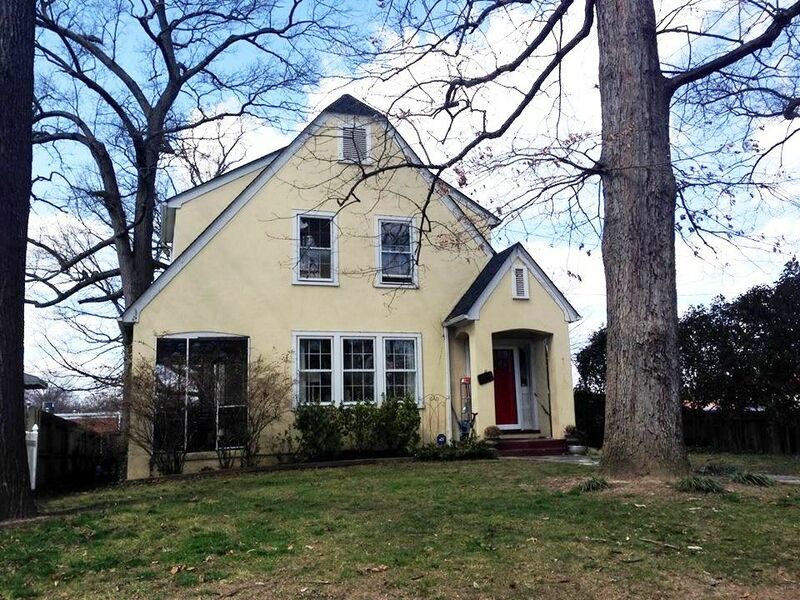 Is this house in Richmond an Aladdin Ardmore? 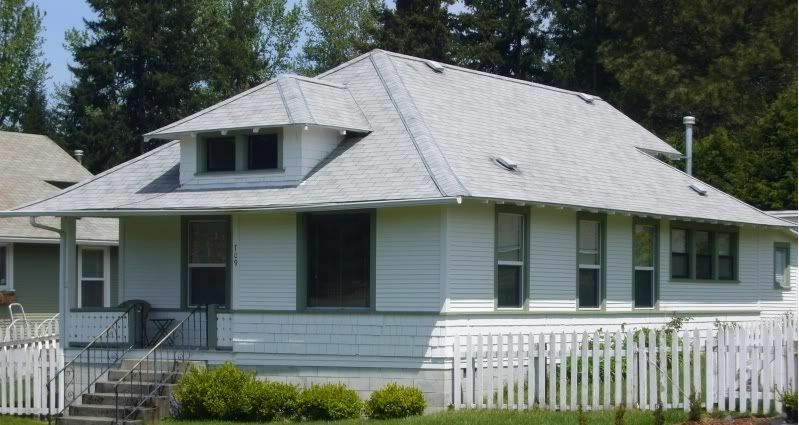 The distinctive bracketing on that front porch roof sure suggests it might be, together with that unusual arched porch on the side. 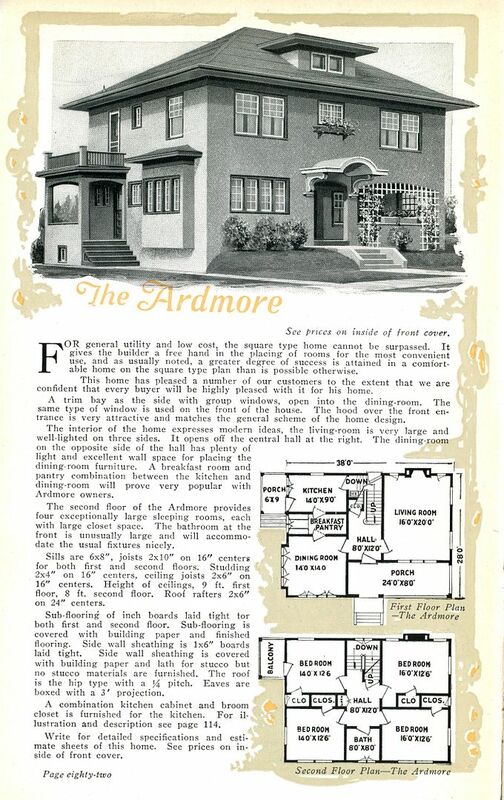 It's bigger than the Ardmore, but we know that 30-50% of kit homes were customized when built. So is it an Aladdin or not? Only her builder knows for sure. In addition to Sears, Gordon Van Tine and Aladdin, there was another national kit home company: Harris Brothers. 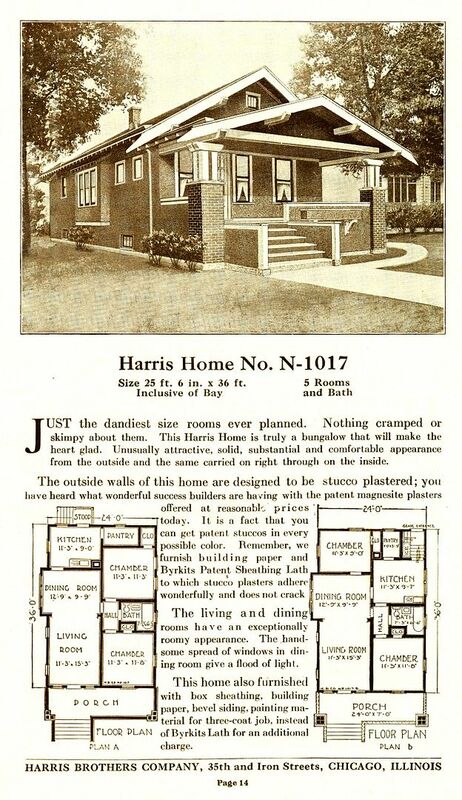 They were based in Chicago , but I've found a few Harris Brothers' homes in Virginia. 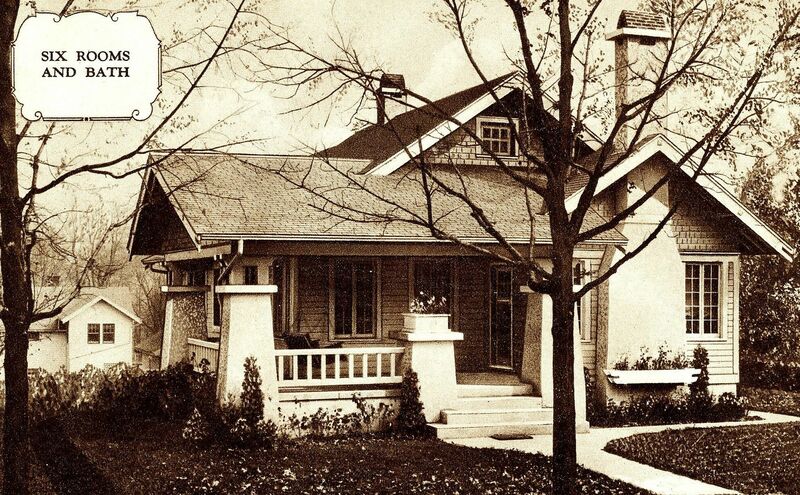 When HB started business, they were known as The Chicago House-Wrecking Company. 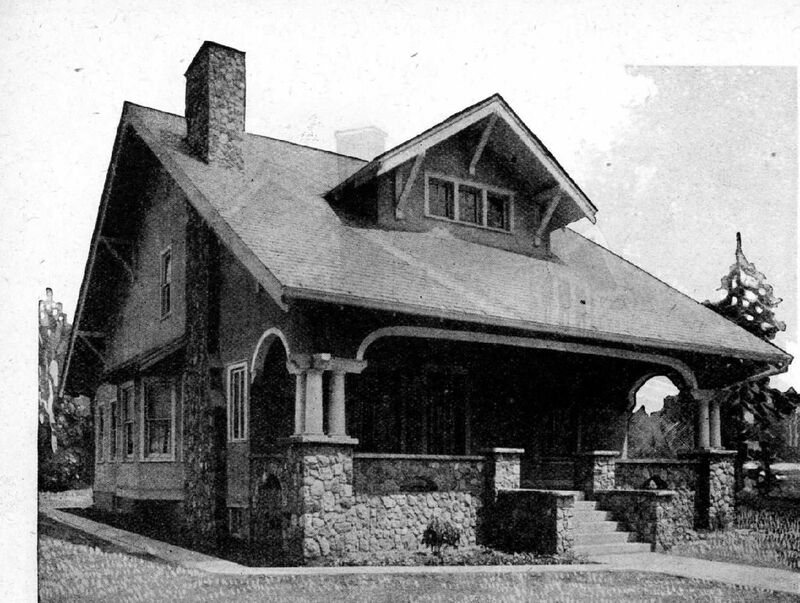 One hundred years ago, "wrecking" was another word for the careful disassembly of a house. 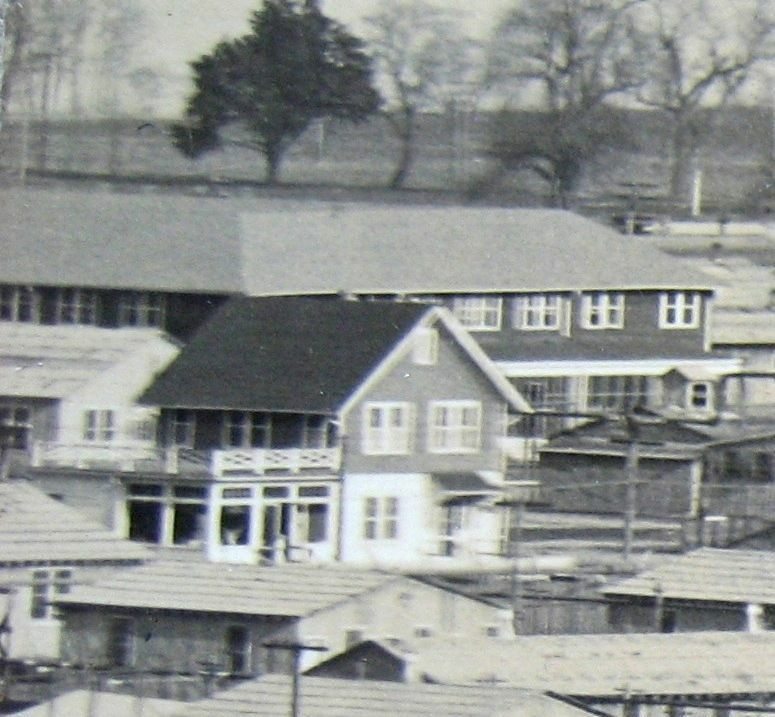 "Wrecked houses" were typically moved and rebuilt at a new site. 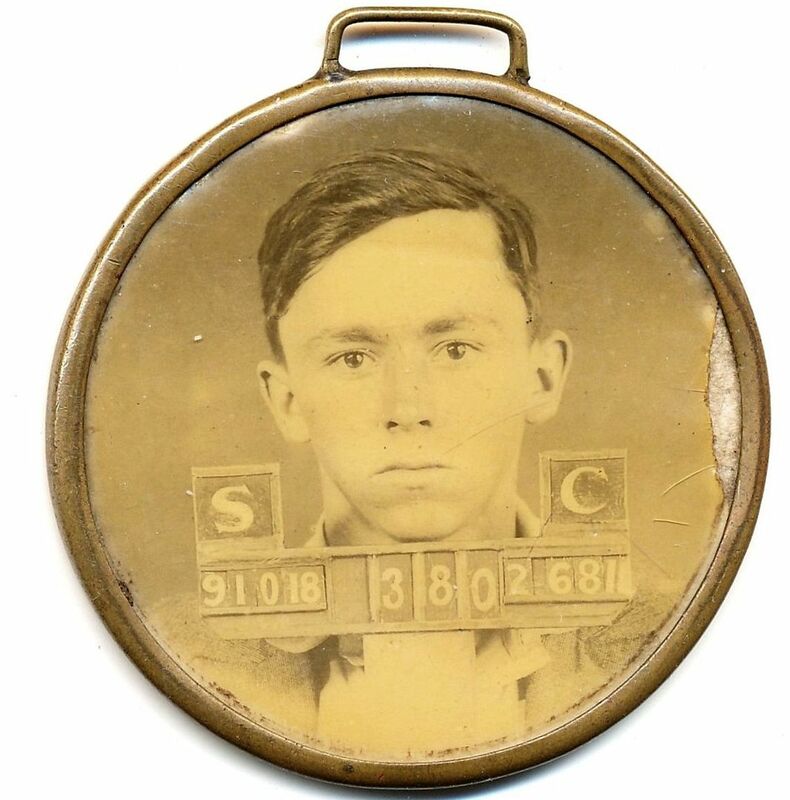 Here's a fine example of HB-1017N. And it's for sale! 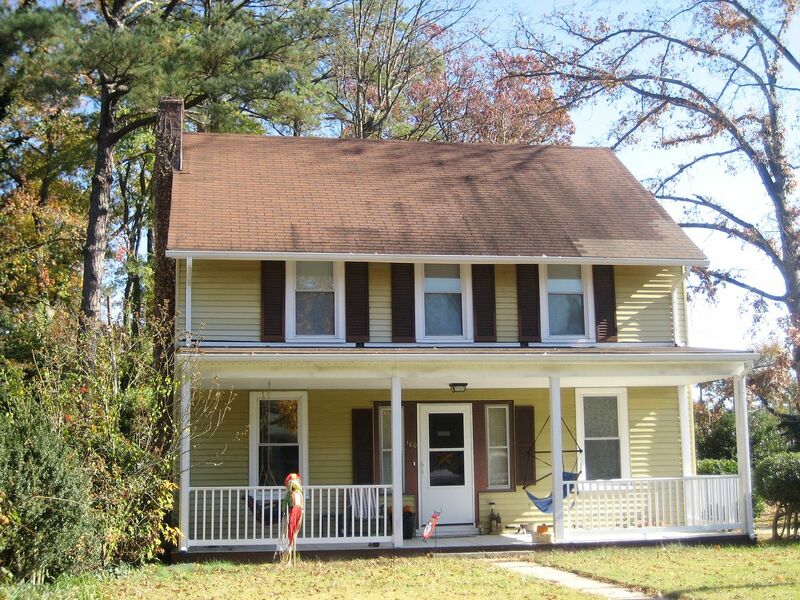 The side windows flanking the front door are distinctive, as are the tops of those porch columns. The stucco is in good shape, too. 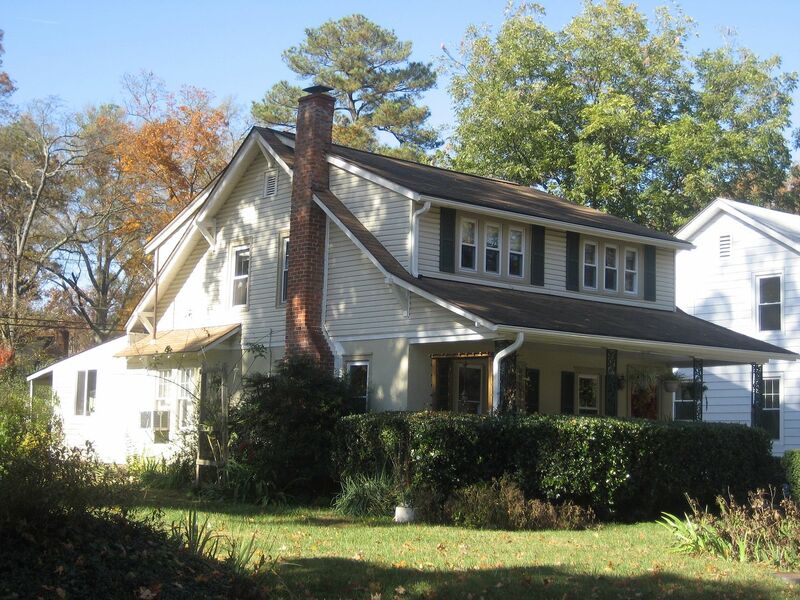 Here's another example of a Harris Brothers' house (Model 1513). Oh yeah, baby. That's what I'm talking about! Another perfect match! Another Harris Brothers' #1513, from a different side. That's two of these sweet things in Richmond. 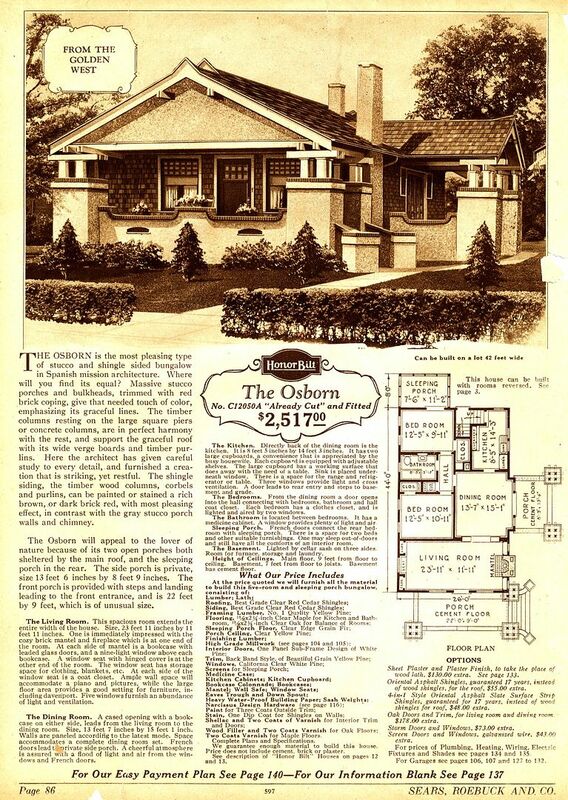 The Sears Osborn is another beautiful bungalow (1928). 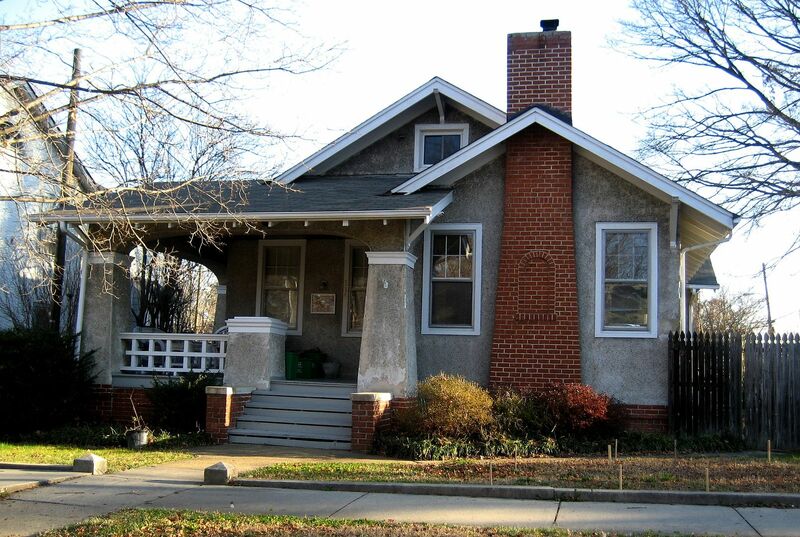 And here's another beautiful example of The Osborn in Richmond. Wow. 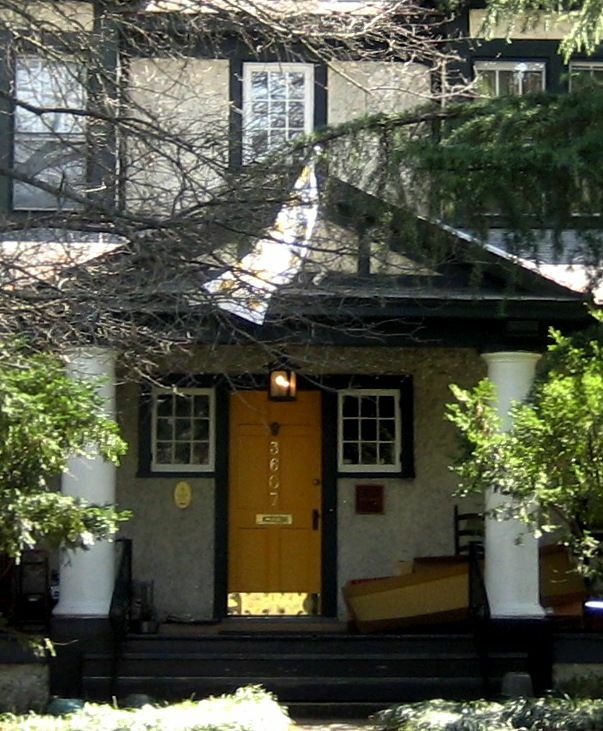 There are also pattern book houses in Richmond. 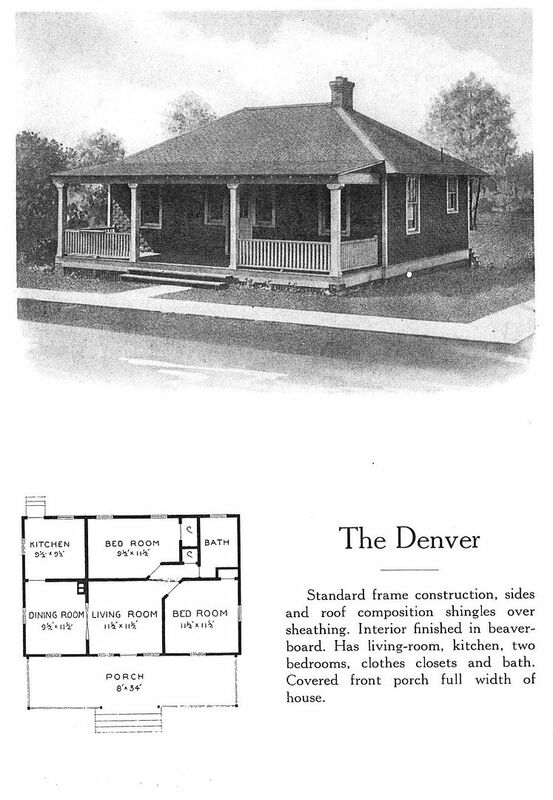 Pattern book homes were different from kit homes, because these houses didn't come with building materials. 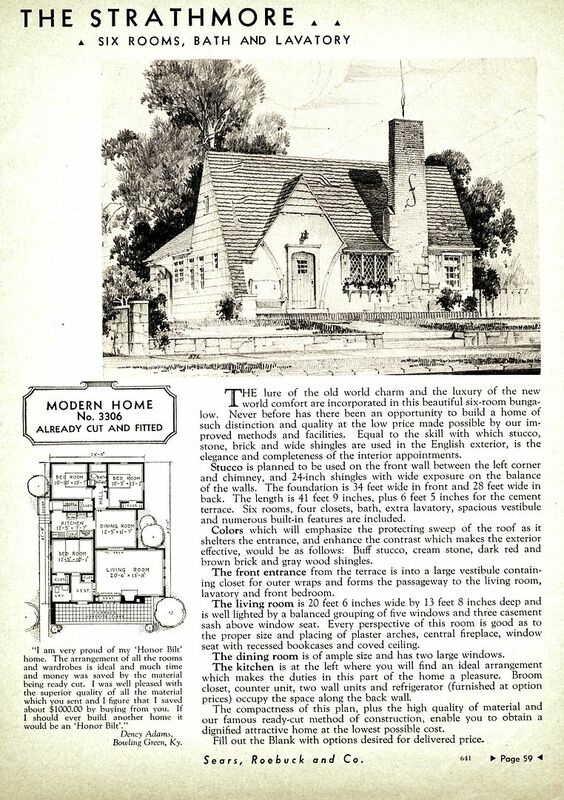 You'd browse the pages of the catalog, select a home and then you'd receive full blueprints and a list of all building materials necessary to build the house. 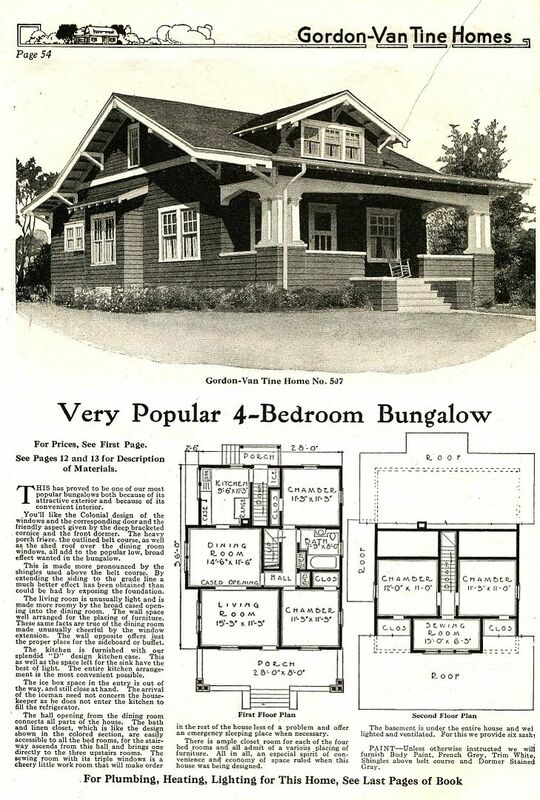 The image above came from the Harris, McHenry and Baker Company catalog, but these plan book houses were offered by many regional lumber companies. Love the stucco pattern! I've never seen this pattern before, but I suspect there's a name for it. 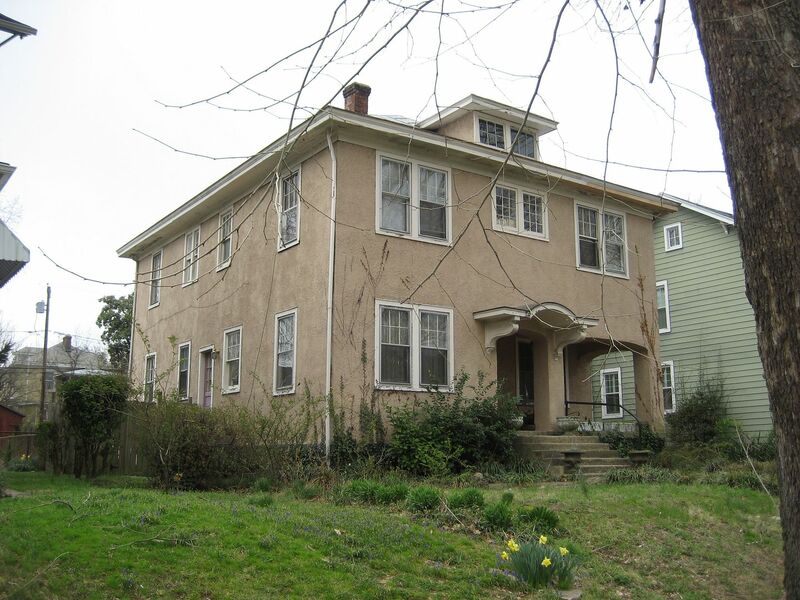 Shown above is but a smattering of the kit homes we’ve discovered in Richmond. To learn more, come to the talk on Thursday night (the 25th), and meet Rose! It’ll be a fun evening, and informative, too! 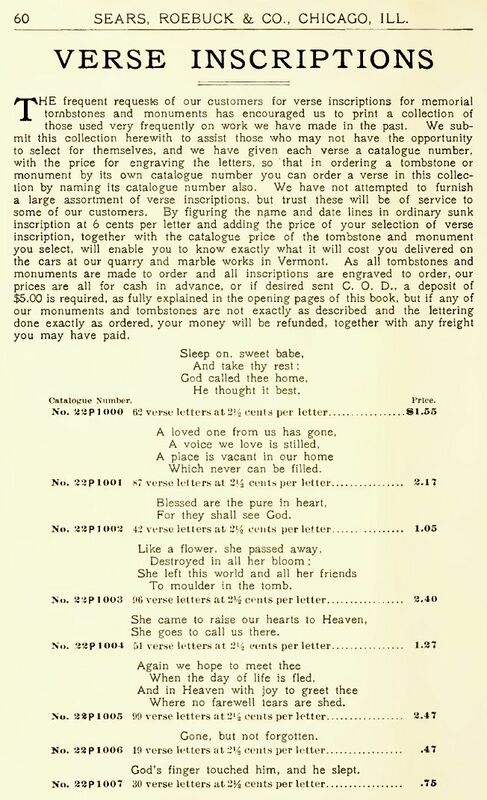 Thanks to Rachel for sharing her images from the 1913 Gordon Van Tine catalog. 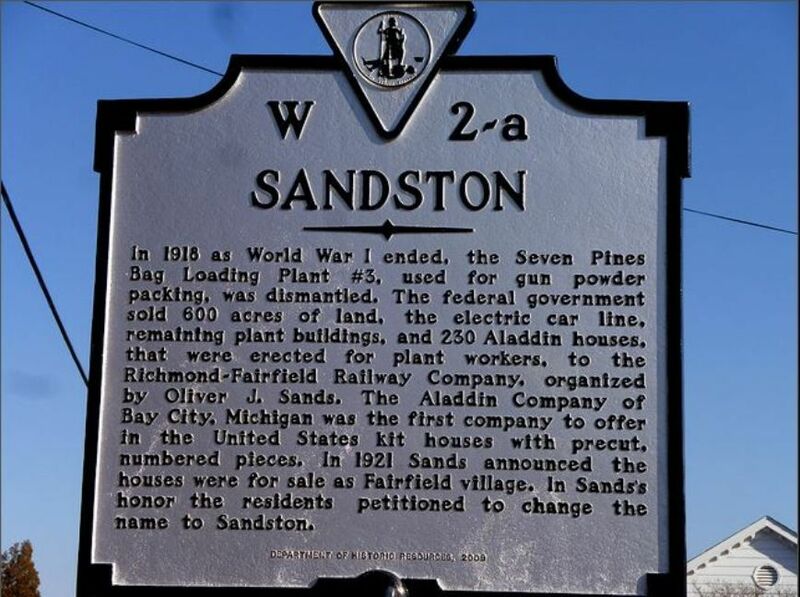 Thanks to Melissa for the wonderful picture of the Sears Avalon! 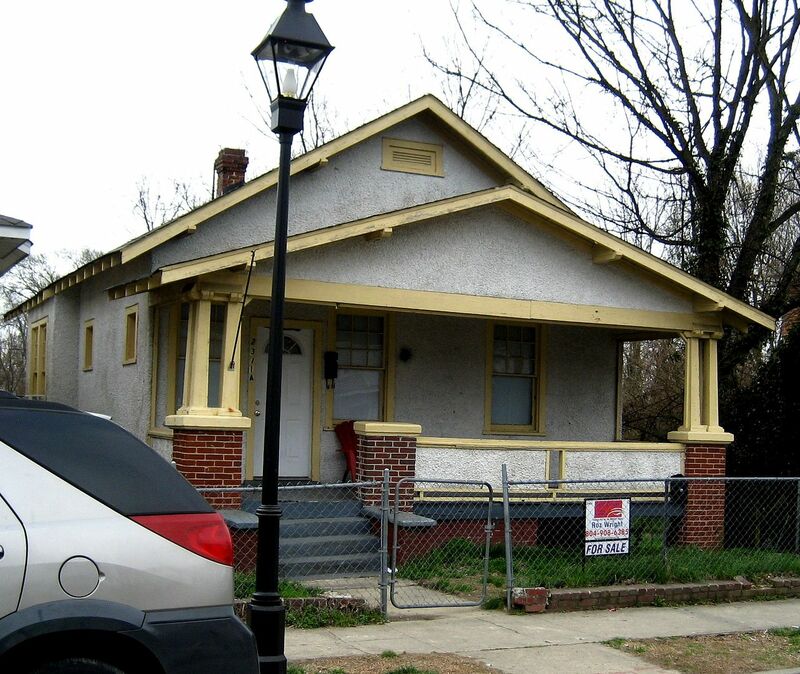 A two-year-old blog on Richmond kit homes has generated 2,000+ views in 48 hours. That’s a lot for one blog. 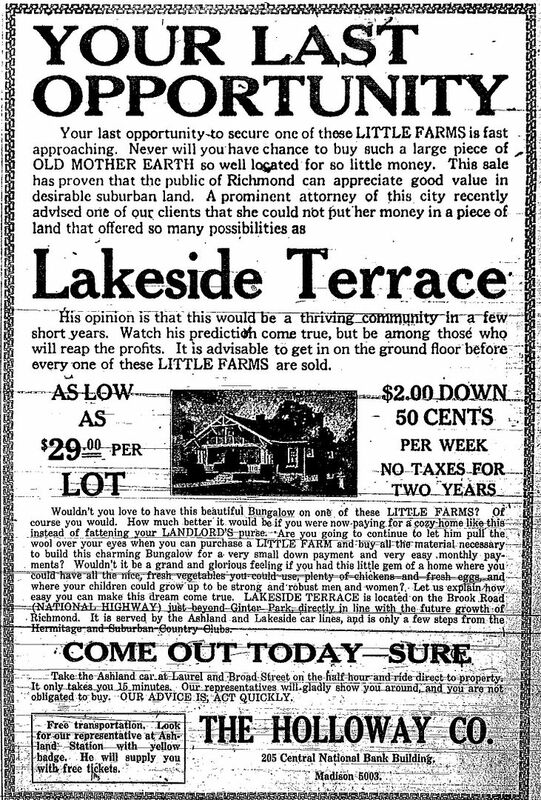 And then on Friday, I discovered an advertisement in a 1921 newspaper featuring a potential *neighborhood* of Sears Homes near the Botanical Gardens. 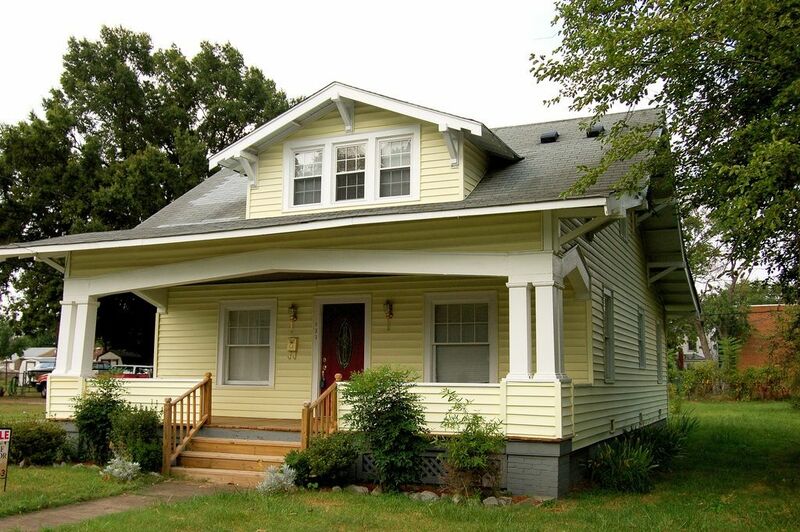 Yesterday, two “Richmonders” joined our “Sears Home” group on Facebook, and with all the new information, I think it might be interesting to return to Richmond and do a more thorough survey of kit homes, and perhaps follow-up with a lecture on the topic. 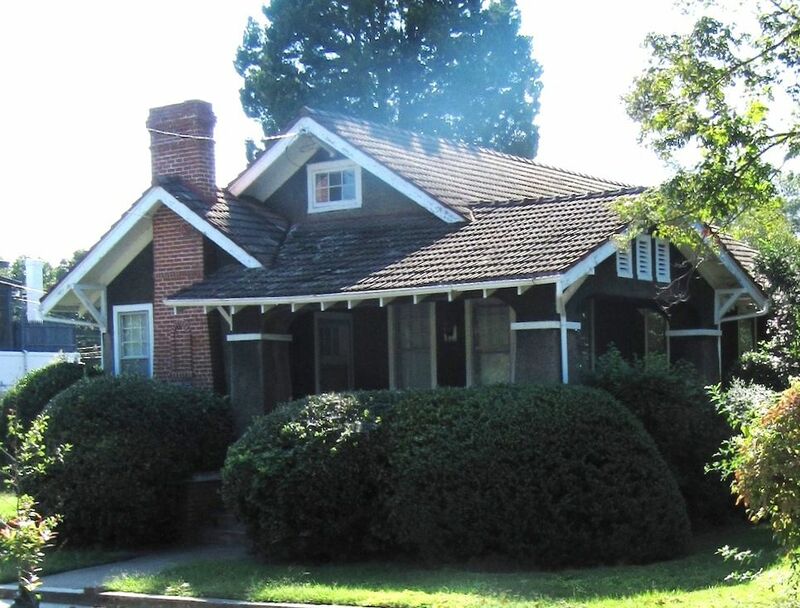 It’s now apparent to me that I missed a LOT of the early 20th Century neighborhoods in Richmond. Perhaps there’s a Magnolia hiding somewhere in Richmond. And if you’d like to work with me in putting together a lecture for this fine old southern city, please contact me by leaving a comment below. 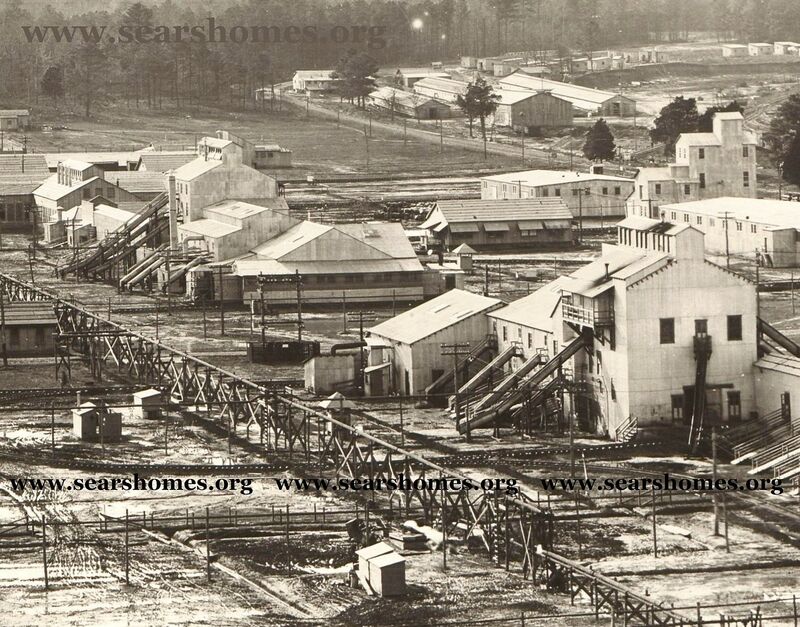 Thanks to the original blog on the Richmond homes, Molly Todd found me and my Facebook group "Sears Homes." When she shared a photo of her house in Richmond, we were delighted to discover it was a Gordon Van Tine "Sussex" (1926 catalog). How did I miss this one? Judging from what I've subsequently learned, I apparently "toured" less than 25% of Richmond's early 20th Century neighborhoods. Photo is copyright 2014 Molly Todd and may not be used or reproduced without written permission. It doesn't get any better than this. Even the railings are perfect. I found FIVE of these little pretties! Five!! Another fine-looking house is the Sears Strathmore (1936). Wow, wow, wow. Looking just perfect! 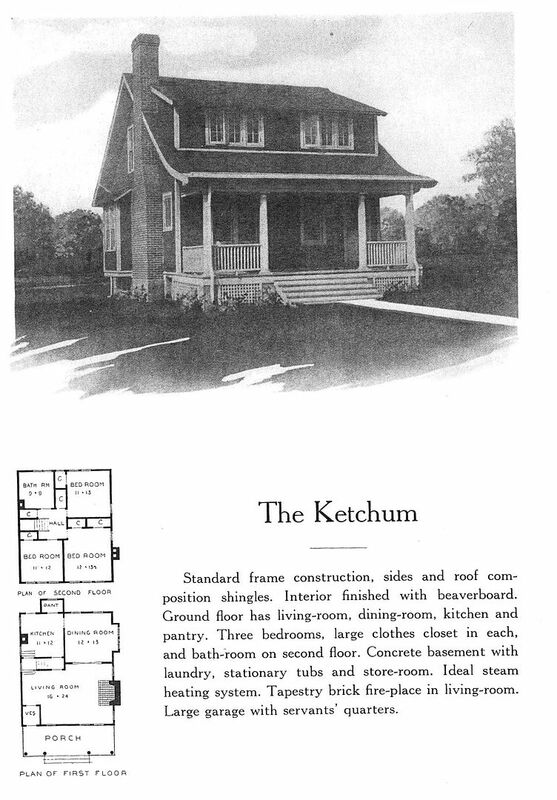 And a very early Sears House, "Model 190" (1912 catalog). 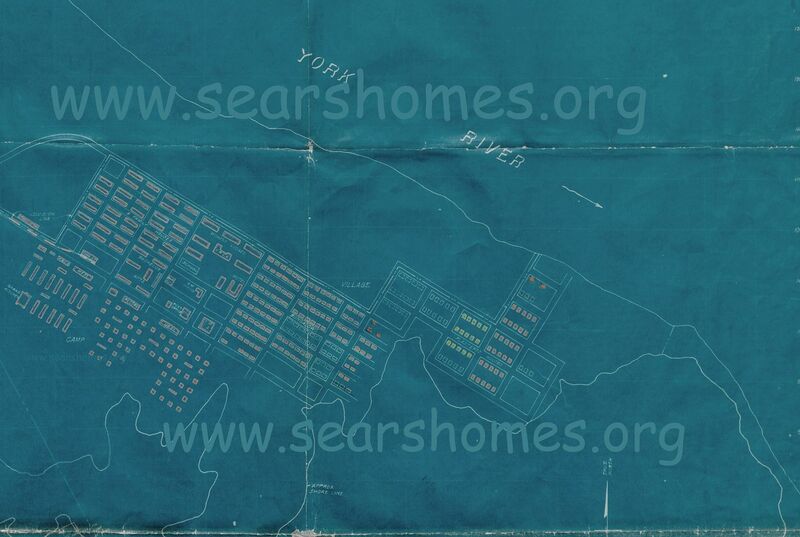 Do these owners know they have a Sears House? Probably not. Part of what makes the houses in Richmond so interesting is that there are so many different companies represented. 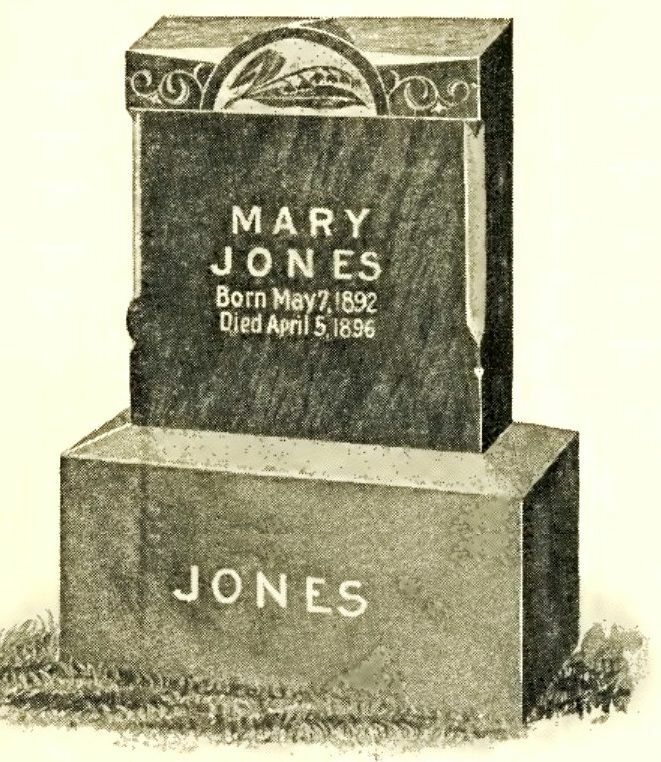 This is a model from "Harris Brothers" (Chicago area). 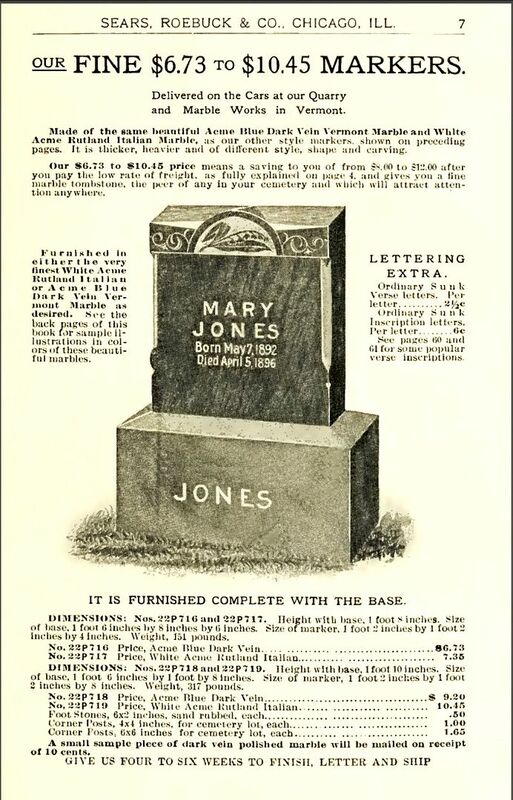 It's HB J161, from the 1916 catalog. And here's the J161 - alive and well and looking good. Look at the detail on the columns. 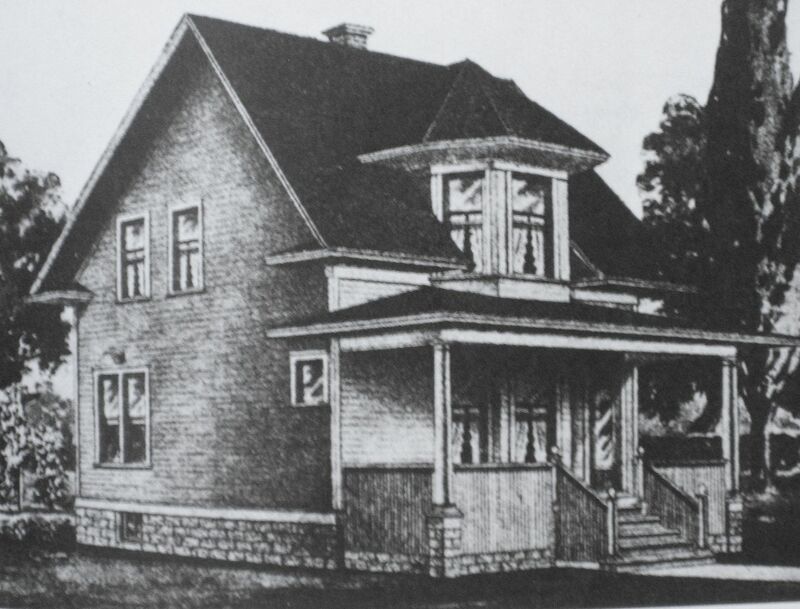 To read the blog on the Sauer Home, click here. UPDATED! See new photos below!! 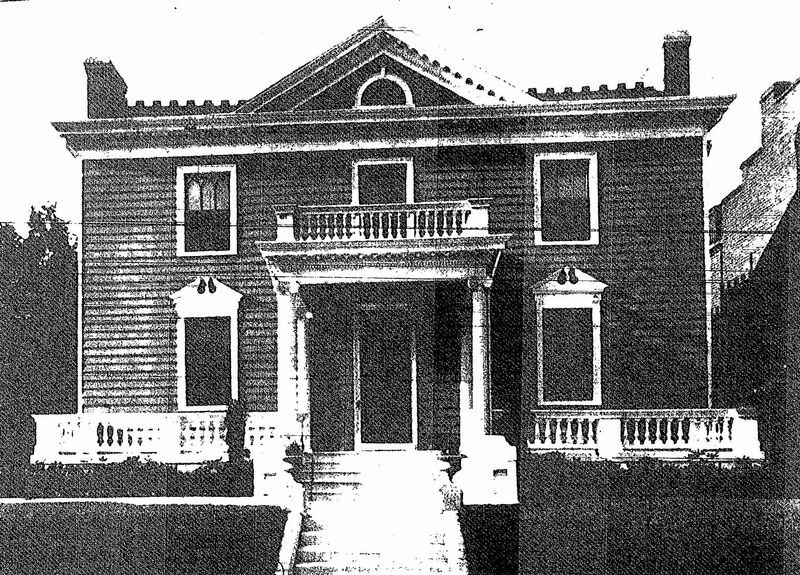 Today, I was at the Norfolk Public Library reading an old Richmond Times Dispatch from October 23, 1921 when I stumbled across this “pictorial record” of a fine old house in Richmond. 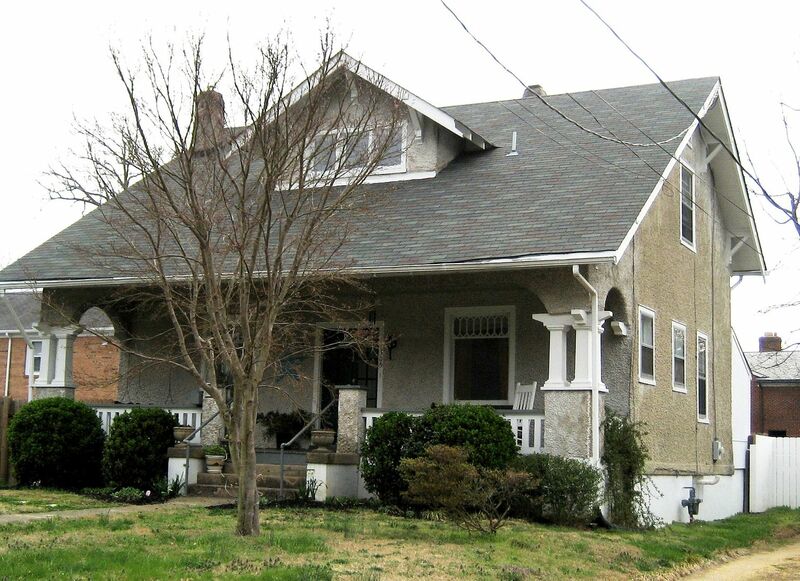 1) In the 1921 article, it was claimed that this was one of the oldest houses in its neighborhood (”The Lee District”). 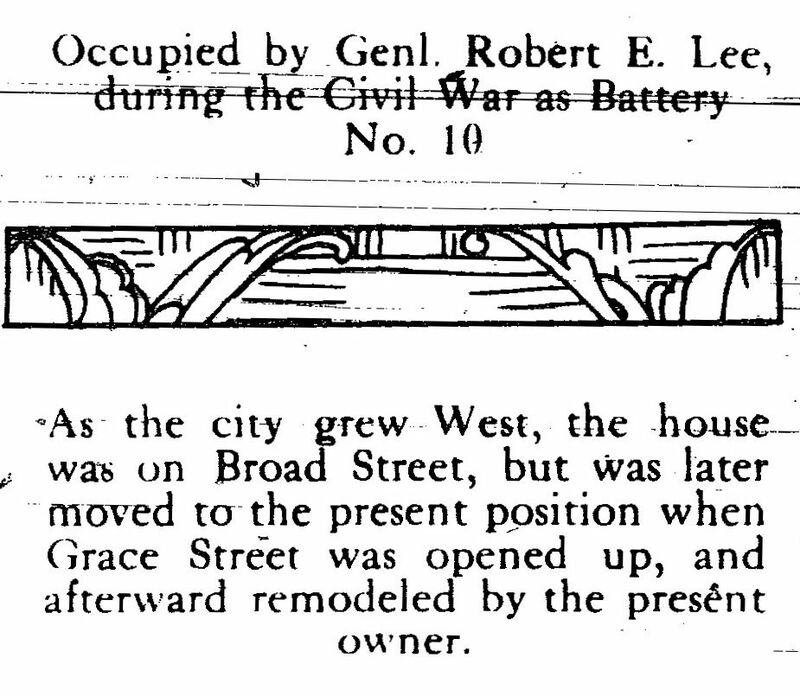 2) It had been moved from another location (from Broad Street to Grace Street). 3) It’s massive and grand, and has a brass fireplace mantel (yes, brass). 4) It was occupied by General Robert E. Lee during the Civil War (”Battery #10″). 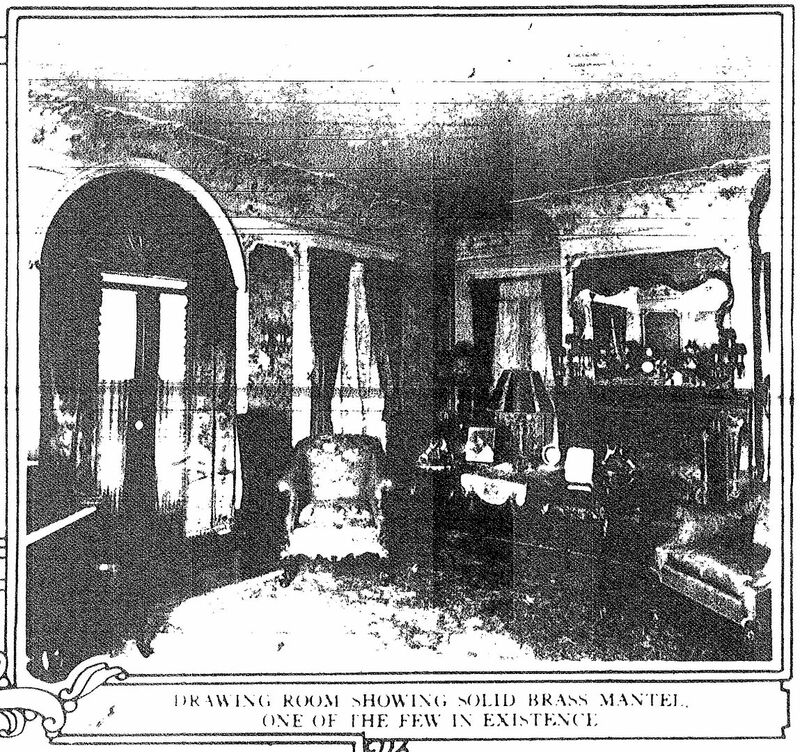 And it’d be interesting to know if the owners are aware that these interior photos were featured in a 93-year-old Richmond newspaper. And was moved from Broad Street (I wonder where! 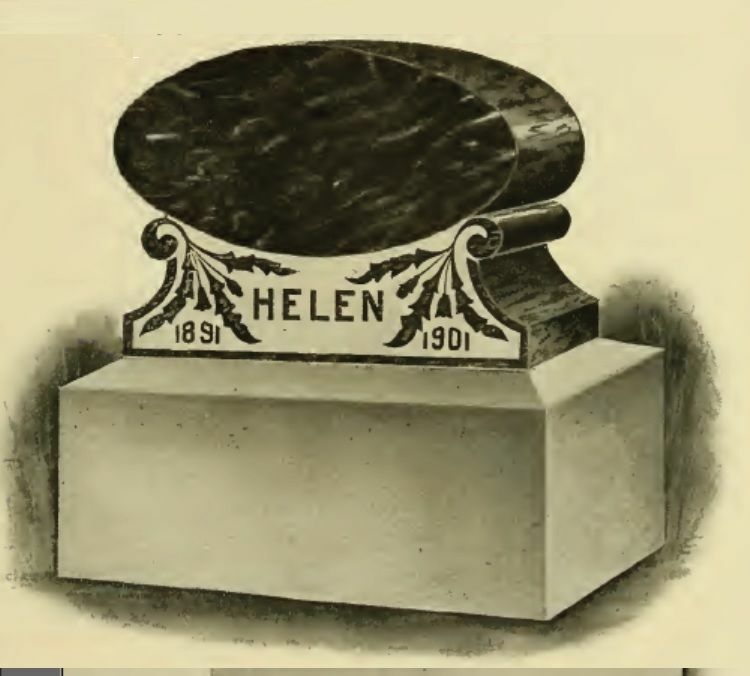 ), and was moved to Grace Street. 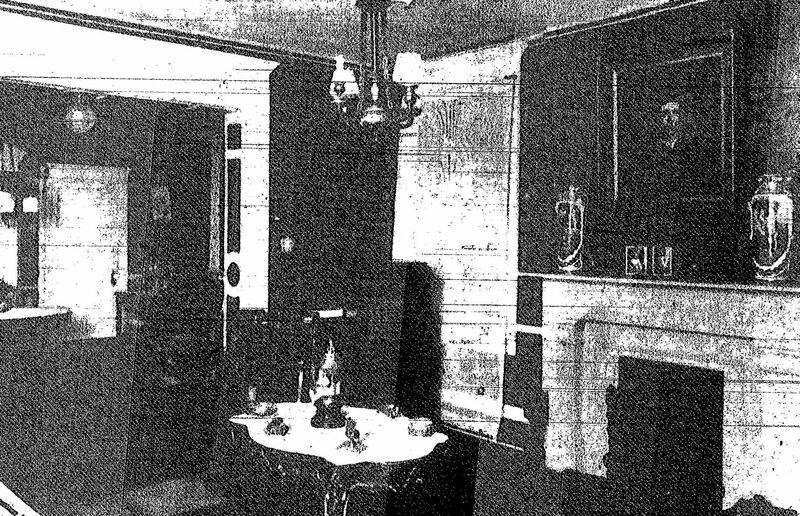 Mr. C. F. Sauer's home had a brass fireplace mantel. Wonder who the fellow in the picture is? 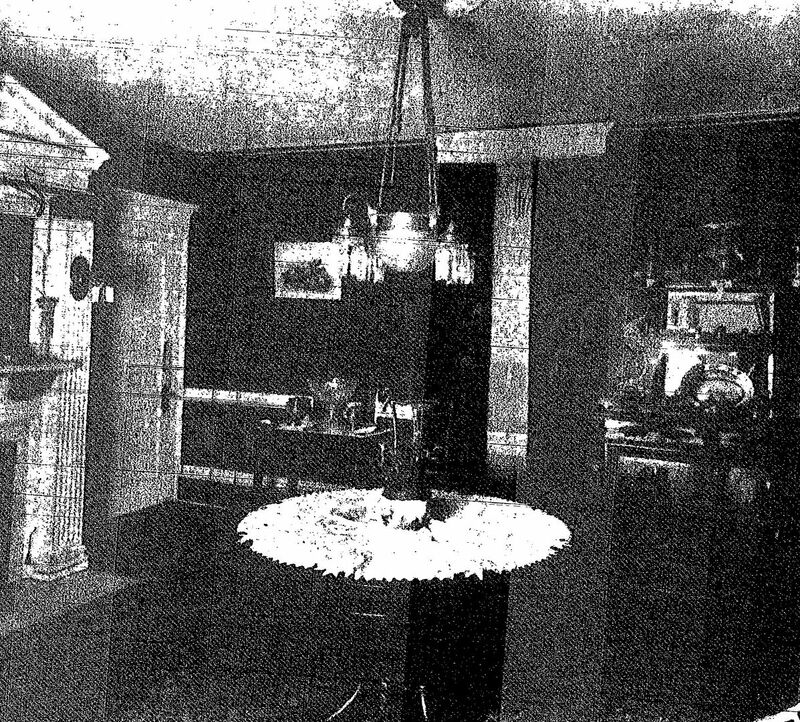 According to the caption, the sideboard (barely visible in this image) is more than 100 years old (in 1921) and is made from solid oak. Despite repeated efforts, this was the best photo I could get from the old newspaper pages. 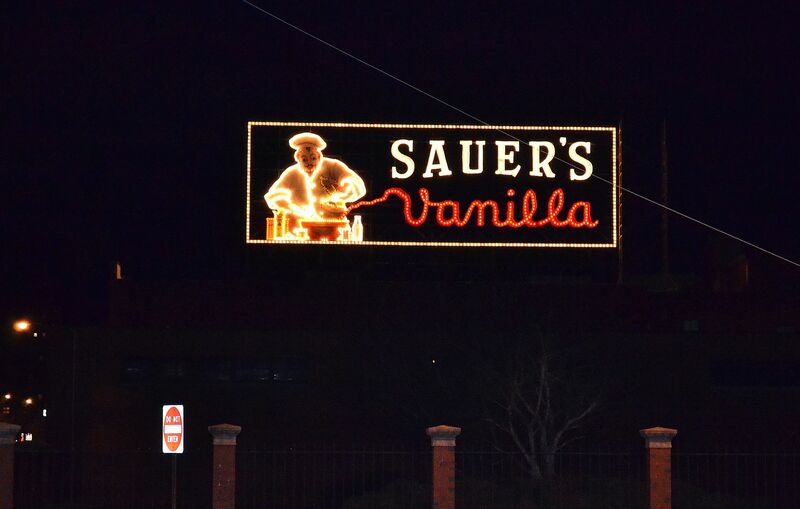 Is the old C. F. Sauer house still alive and well? 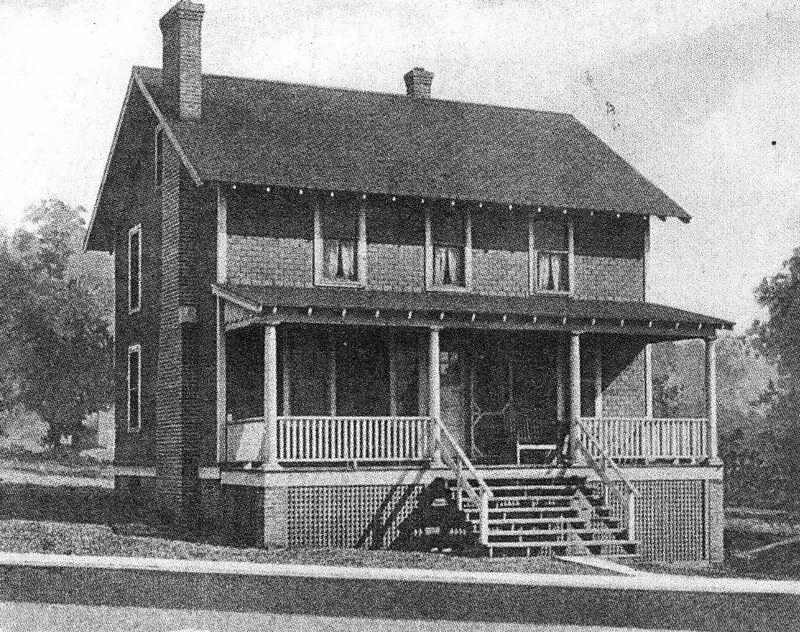 What a pleasure to see that this old house still looks much like it did when photographed for the Richmond Times Dispatch in 1921. What a pure joy! 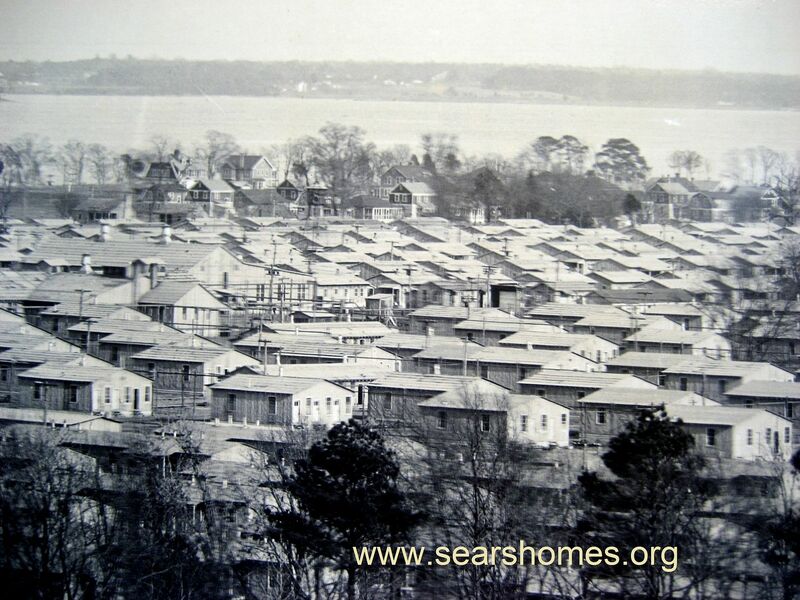 To read about the Sears Homes I found in Richmond, click here. 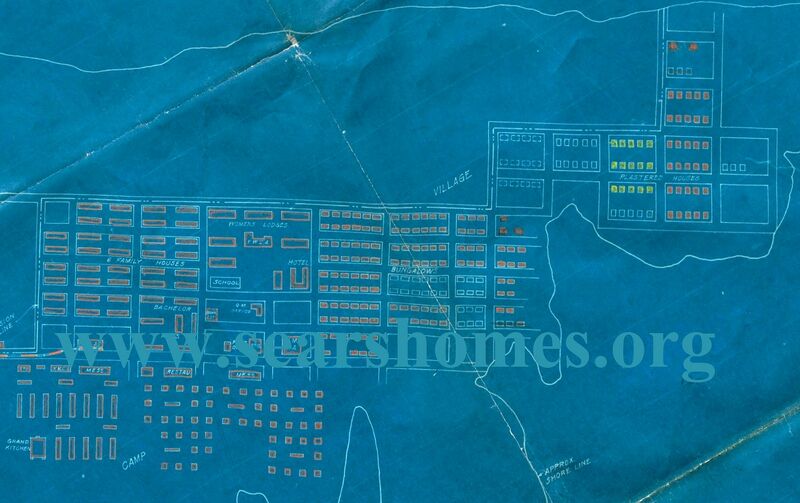 And to see what I found in Sandston, click here! 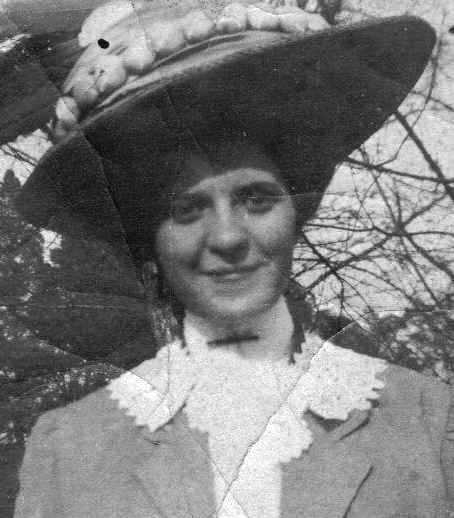 After the War to End All Wars ended (November 1918), the whole world changed. 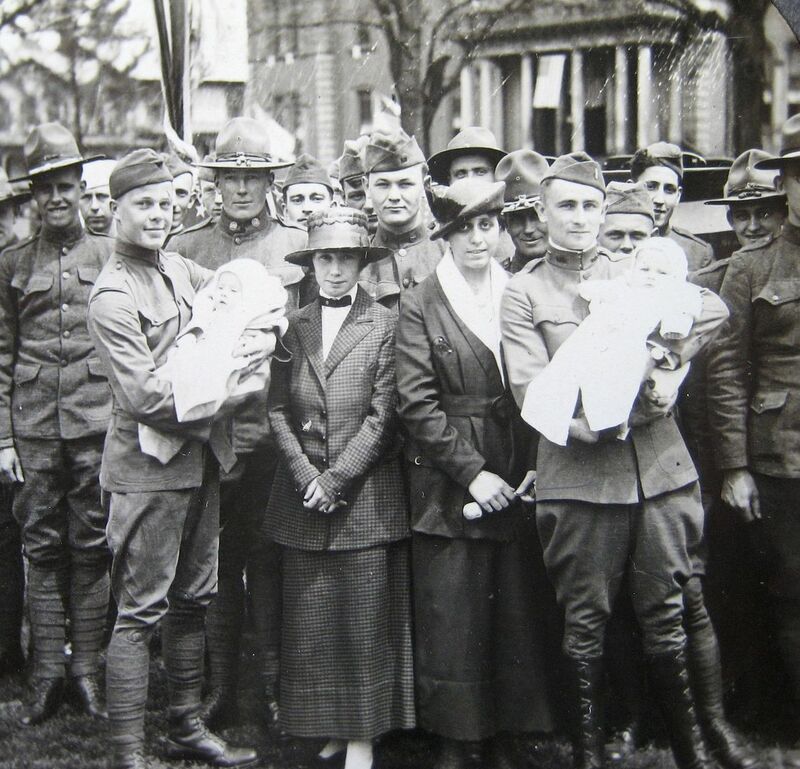 The bloom of Virginia’s youth had gone to Europe to fight in The Great War. 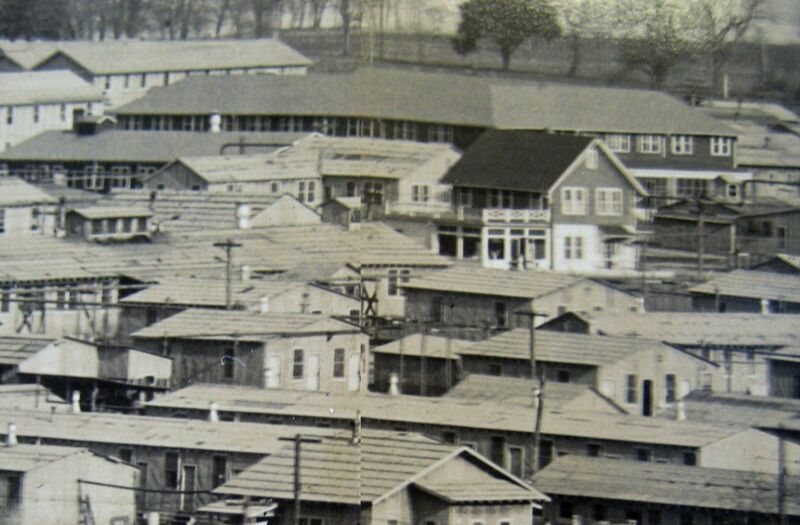 Between mustard gas and powerful munitions, many suffered crippling injuries and many never made it back home at all. Most of the young men who saw battle were never the same again. 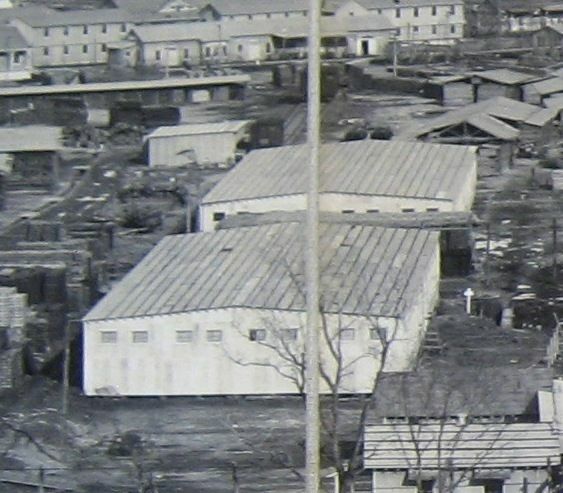 Returning vets got hit with two obstacles to home ownership: During the war, resources had been diverted to the front, and housing analysts estimated that 1-2 million housing units were needed immediately for the returning soldiers. 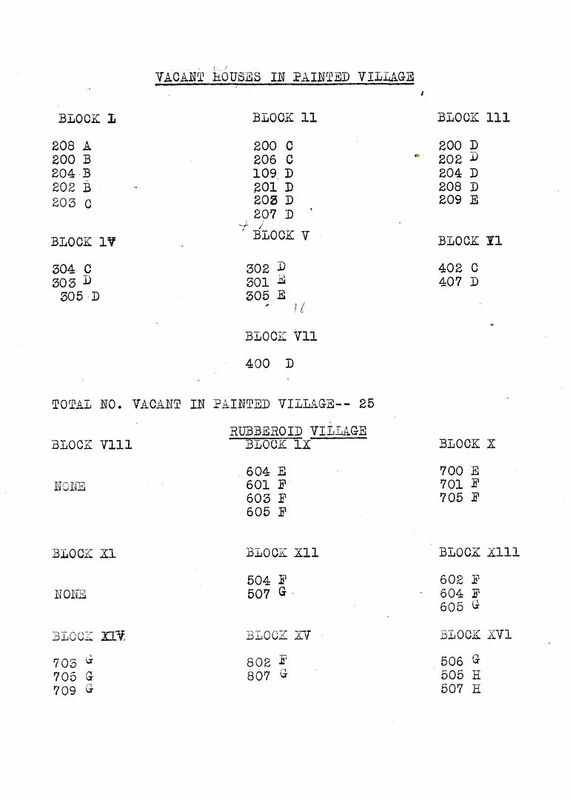 Secondly, after the war, the cost of building materials soared, with prices doubling and tripling in the months following. 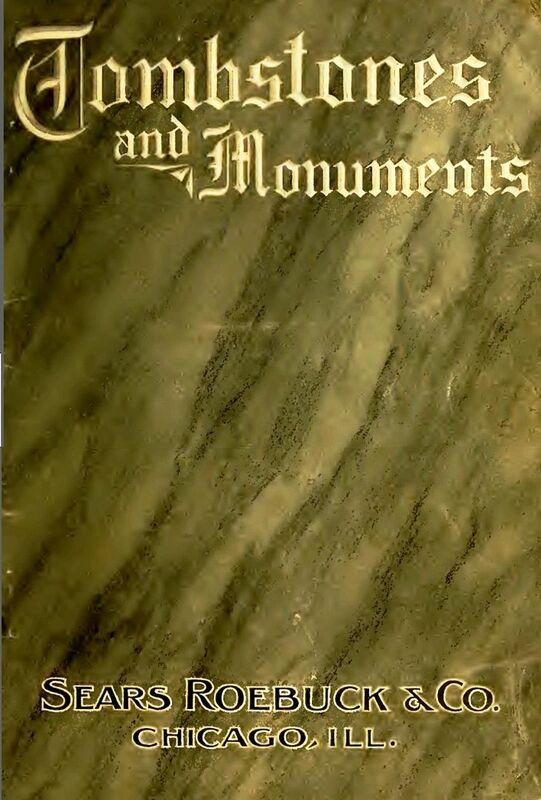 These were challenging times for many colleges, and William and Mary was no exception. 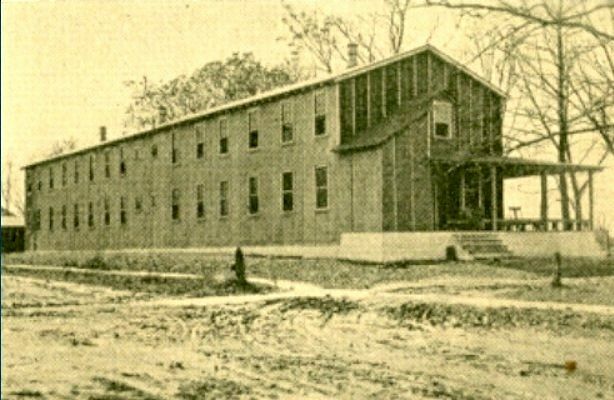 Due to a growing enrollment, the college needed more space for dorms, classrooms and dining areas. Perhaps someone at the college pointed out that with the closing of Penniman, there would be many buildings available for sale - cheap. 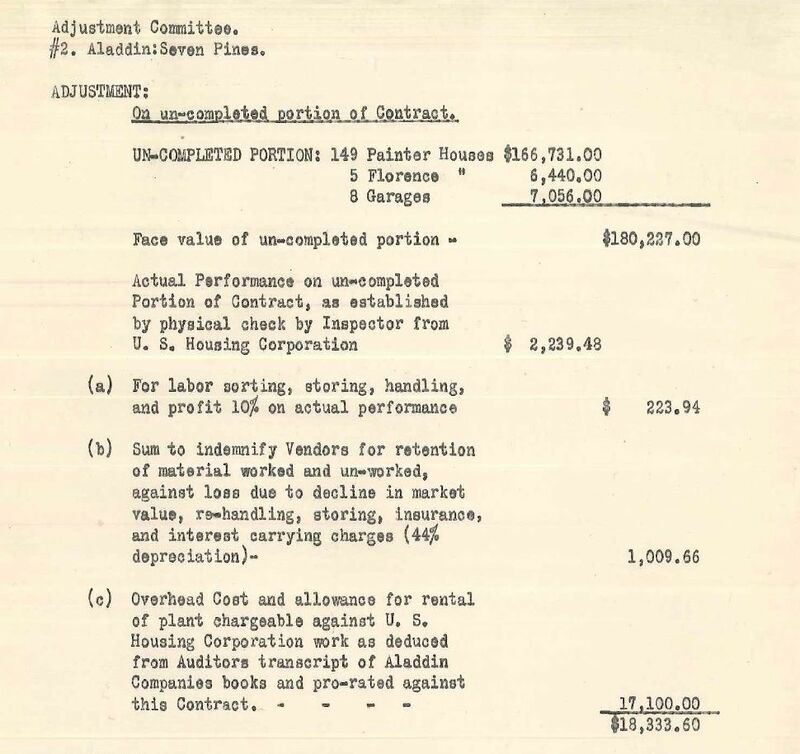 According to the Board of Visitors’ minutes from June 8, 1920, William and Mary’s Committee on Student Accommodations paid $985 for their first two “temporary” Penniman buildings, with $3,000 set aside for their re-building. 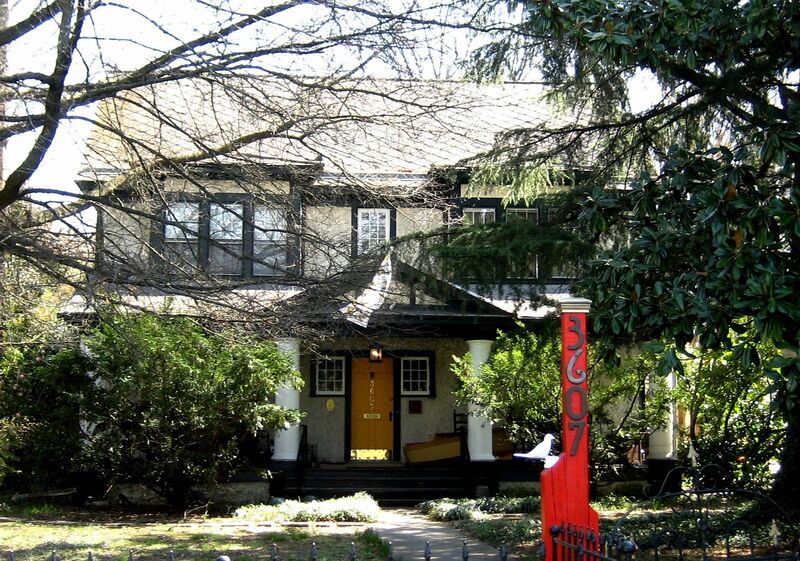 In reading the minutes I was interested to learn that the college did not merely “move” these structures. They disassembled them, and then hauled the building materials to the campus and re-assembled them, board by board. 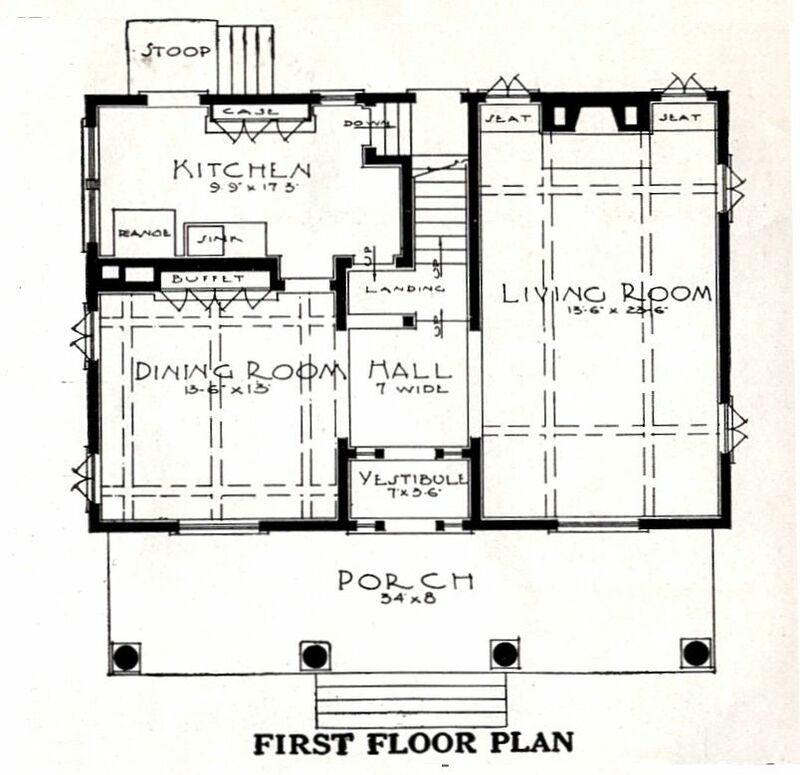 Kind of like building a pre-cut Sears kit home, but without a 75-page instruction book or numbered lumber. I hope President Chandler was handy with his hands. 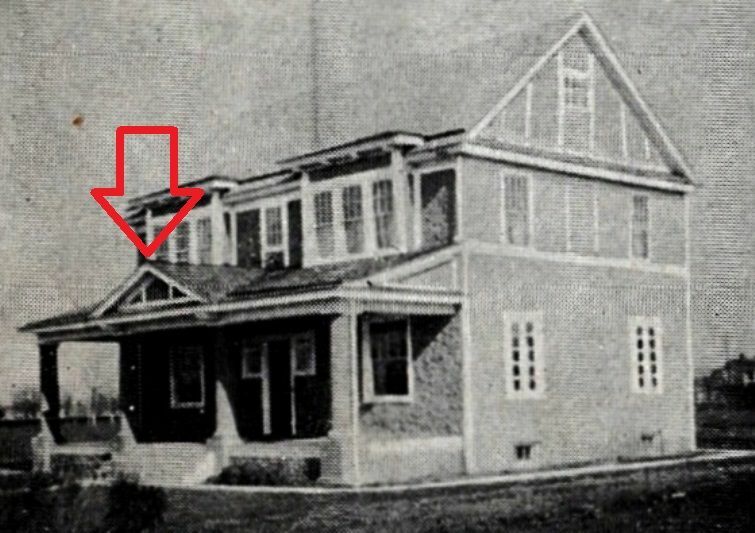 On January 8, 1921, The Flat Hat (student newspaper) reported that the “Hotel at Penniman has been bought and will be moved on the campus in the near future,” with construction beginning in mid-January. Judging by the description, this was a large building. One “wing” of the new building was for the Biology Department (five large laboratories and a lecture room). Another wing would be used as a dining hall (with seating capacity of 150 students) and another wing would serve as a dorm, with space for 50 students. Reading these minutes, you get the impression that they were running out to Penniman like we run up to the Home Depot. It was recommended that the new building be placed behind the existing Citizenship Building “even though it may look bad to connect cheaply with the steam pipes” (that’s my favorite part). 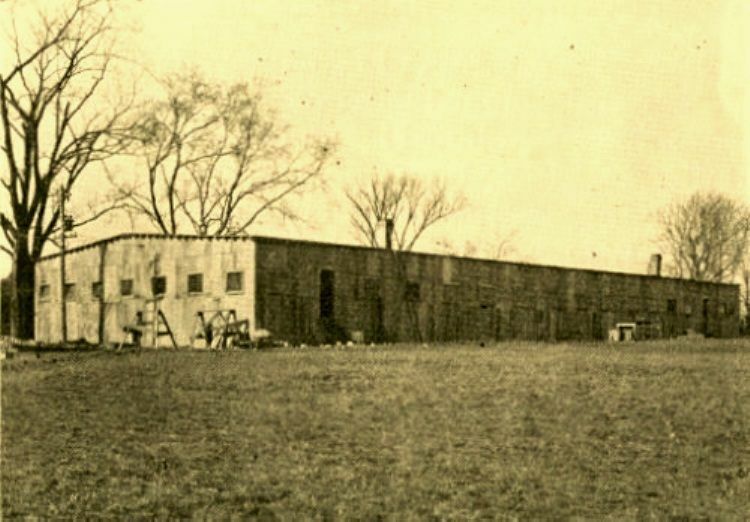 William and Mary thought much more highly of these “temporary buildings” after they were erected on the hallowed grounds of the campus. 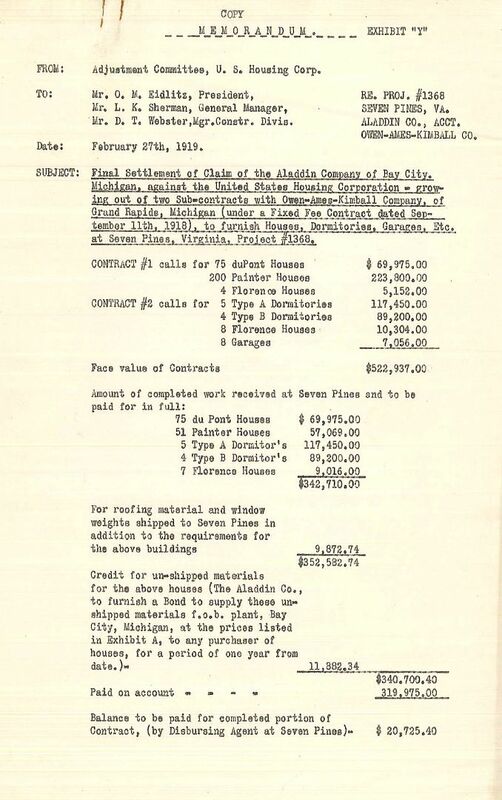 In a document titled, “Valuation of College Land and Building,” they estimated that the value of two of their Penniman buildings (presumably the two with an estimated $5,000 outlay), to be $45,000 (June 1923). Wow! At that kind of appreciation, they should have bought everything Penniman had to offer! 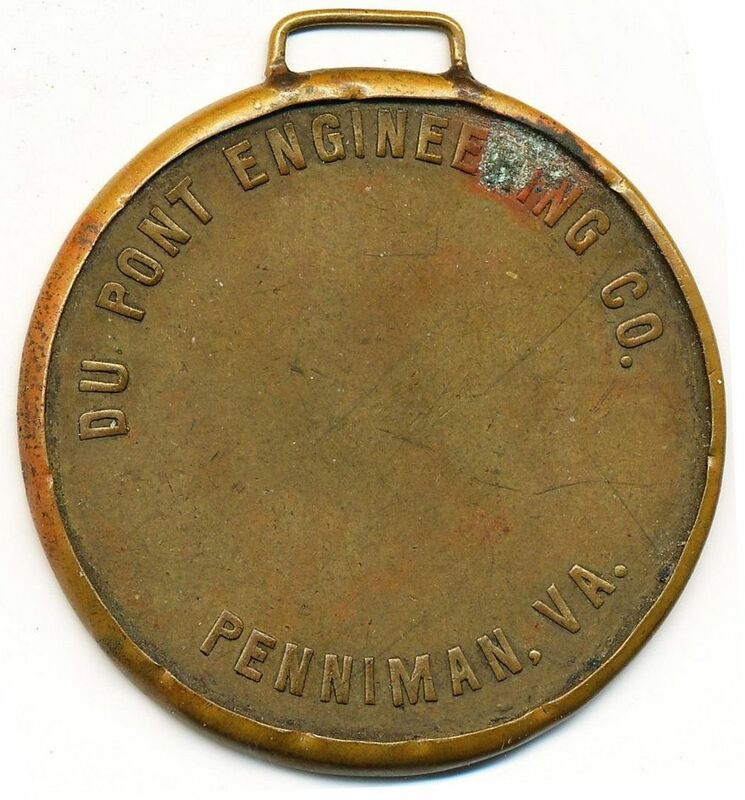 In June 1925, a fire destroyed the “Penniman Building” (the one used as a dining hall/biology building). 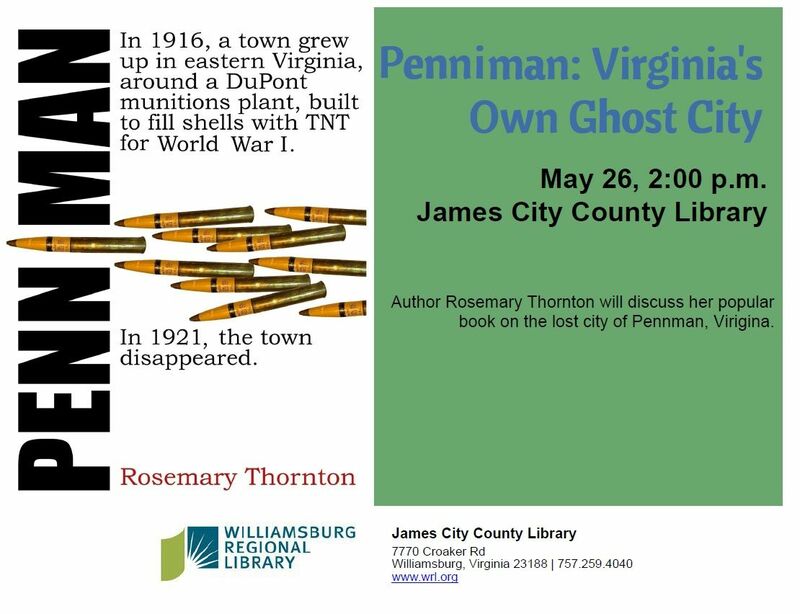 In 1926, the college was given a $60,000 grant (by the Virginia General Assembly) to put up some prettier buildings that did not look bad or connect cheaply with the steam pipes. 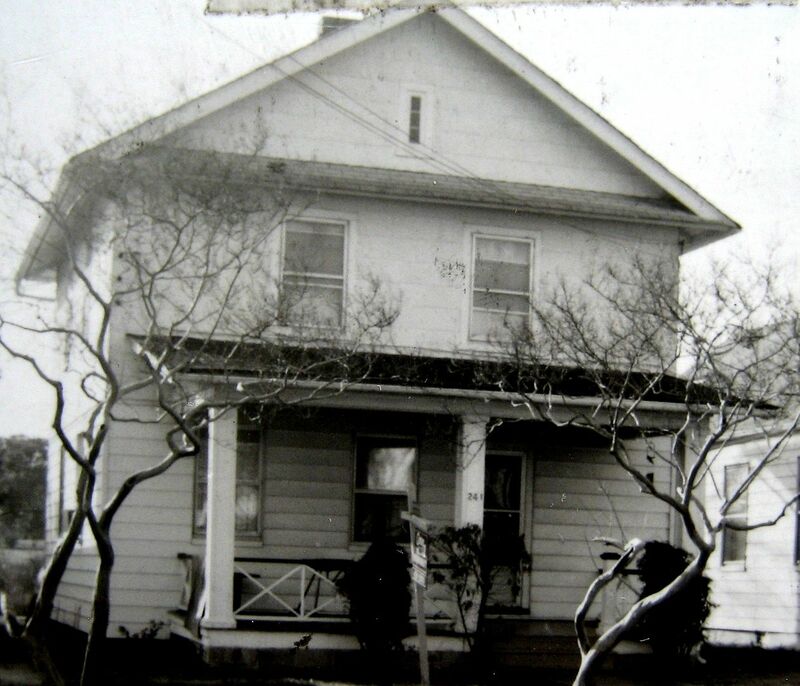 To read about another interesting facet of Penniman’s history, click here. 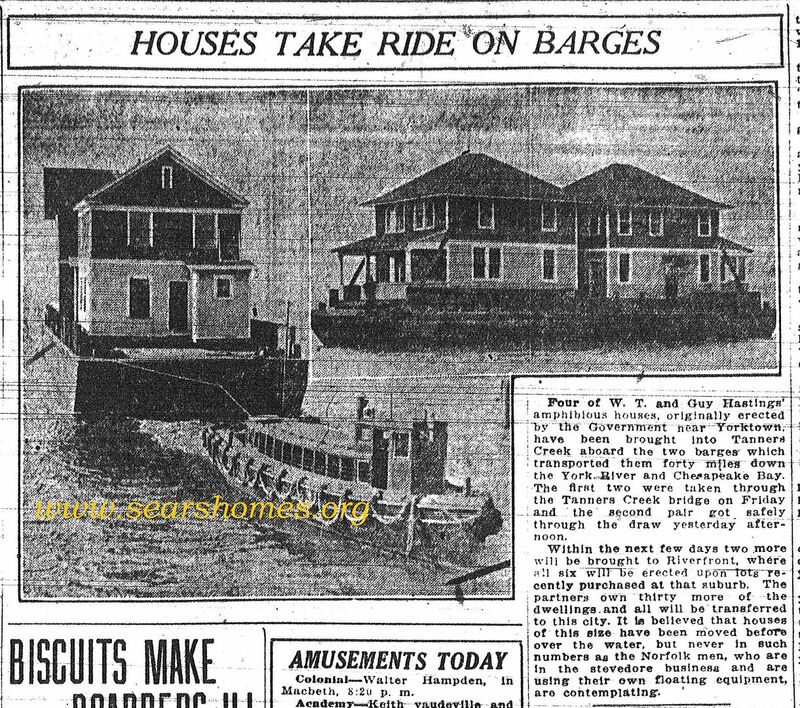 Here in Norfolk, our 50+ Penniman houses arrived whole and intact (and by barge!). 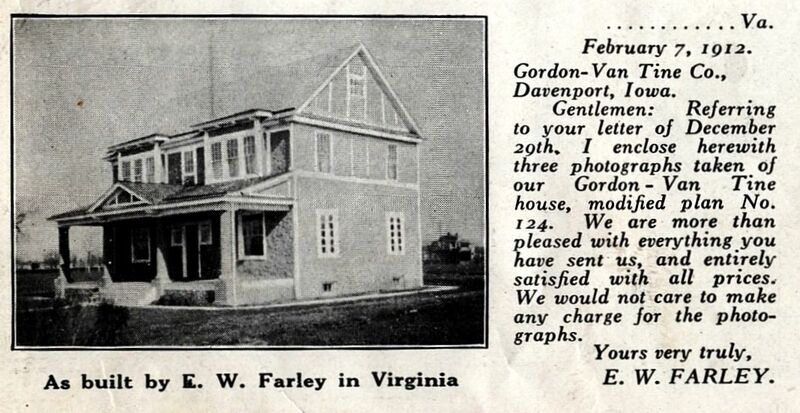 Thanks to Robert Hitchings for finding this wonderful photo in the December 1921 Virginia Pilot. 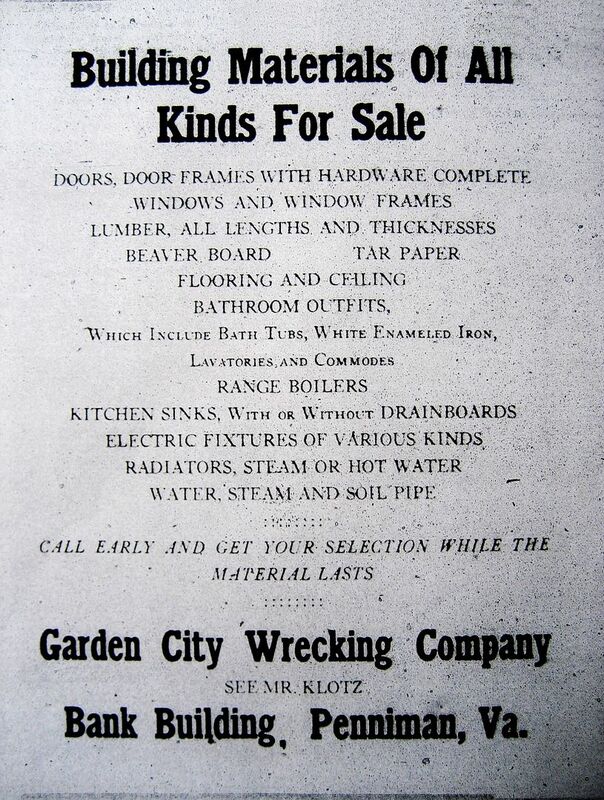 By May of 1921, The Garden City Wrecking Company (a 1920s term for architectural salvage) was inviting the general public to come pick at the bones of Penniman. Pretty depressing, really, and yet also shows how prior generations took recycling very seriously. The same colleges that rant and rave about saving every scrap of paper don't hesitate to tear down old houses, thus sending 300,000 pounds of irreplaceable building materials to the landfill. I now have first-hand evidence of three colleges tearing down three rare kit homes in the last 10 years. 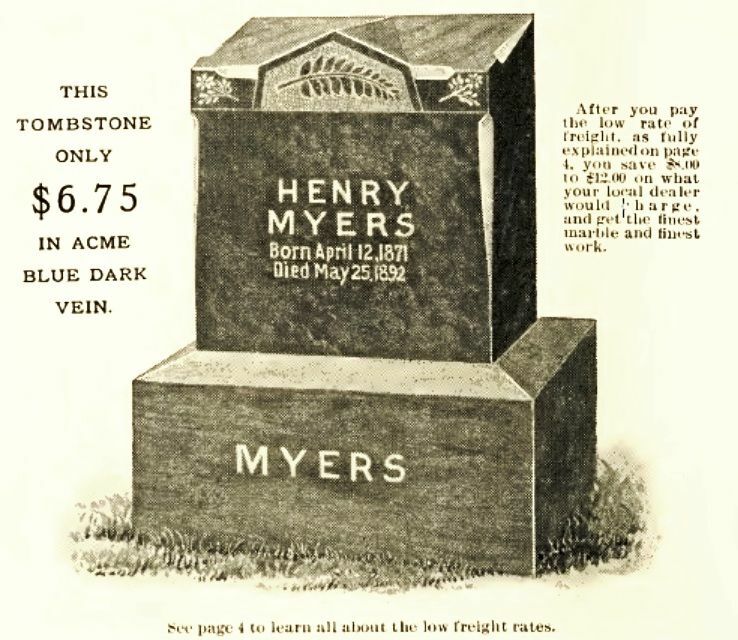 This advertisement appeared in the May 1921 Virginia Gazette. 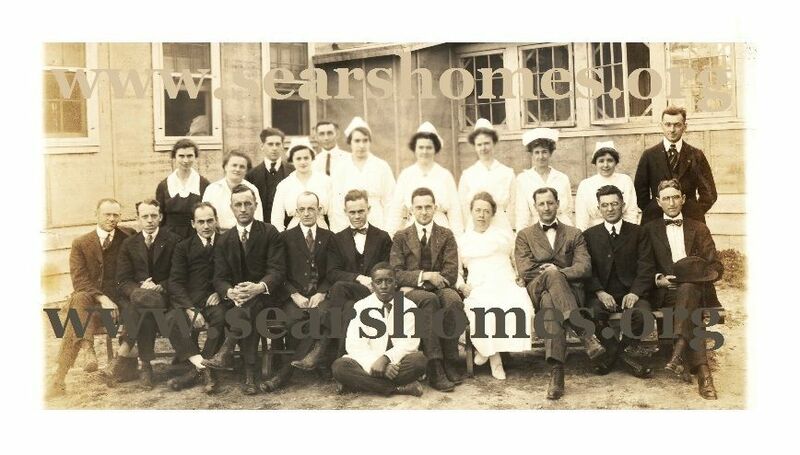 To read about Penniman’s forgotten flu victims, click here.